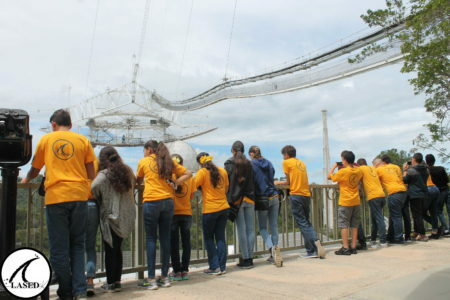 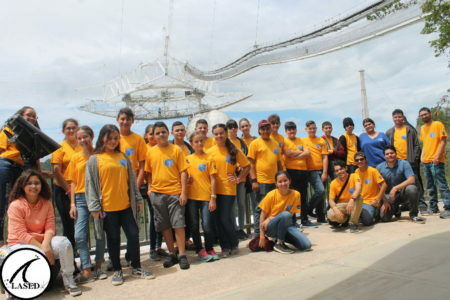 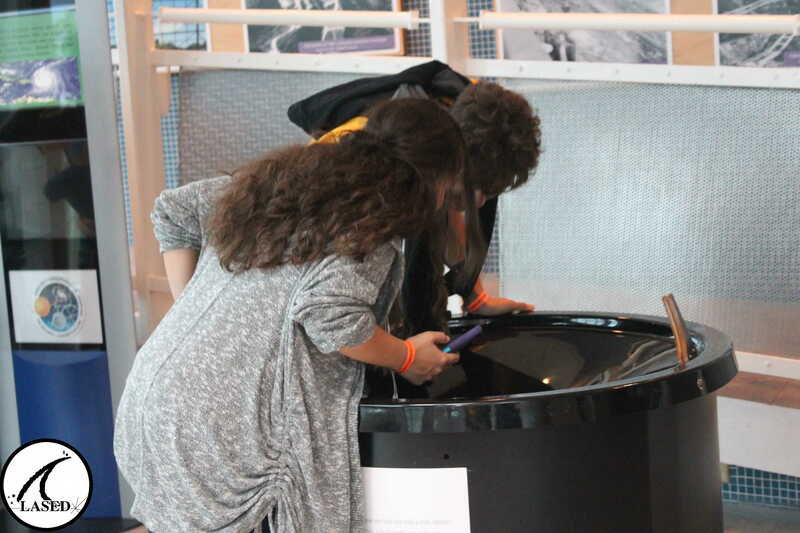 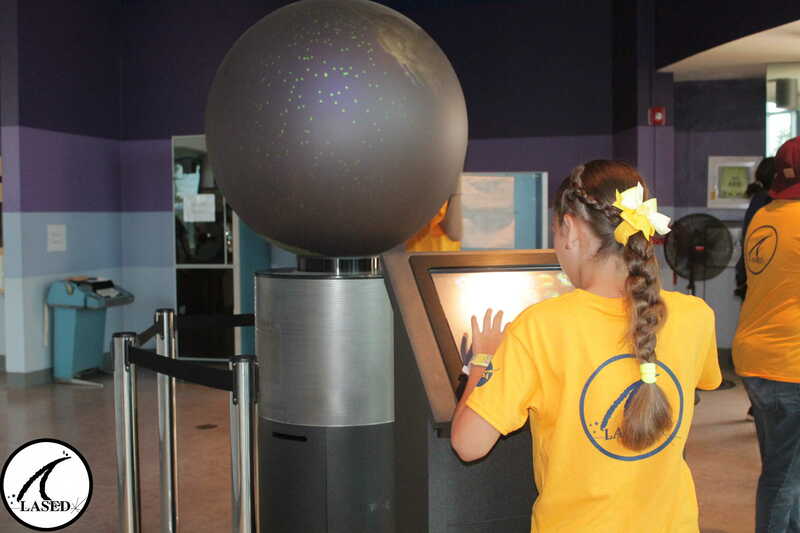 On this day the kids started with planet exploration! 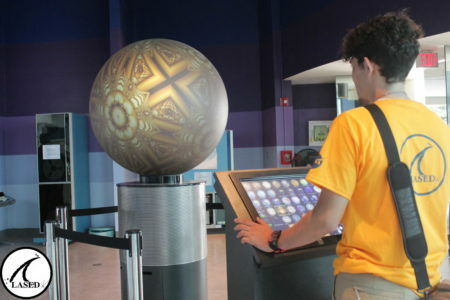 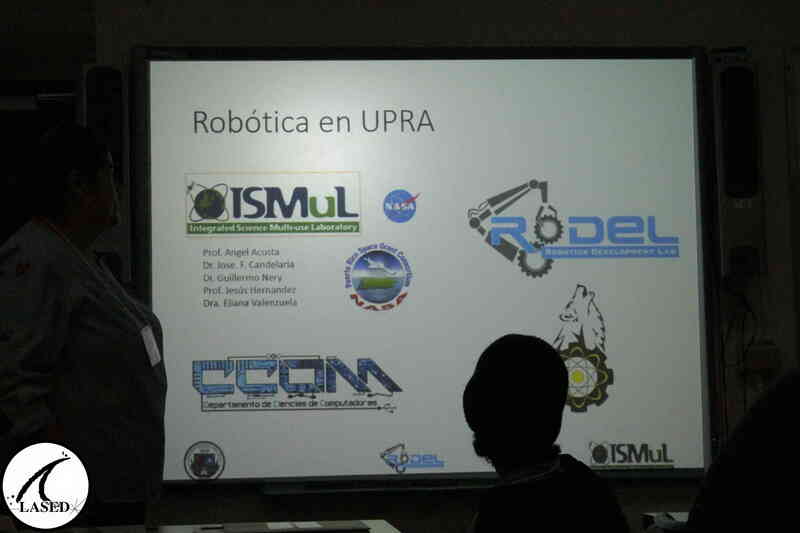 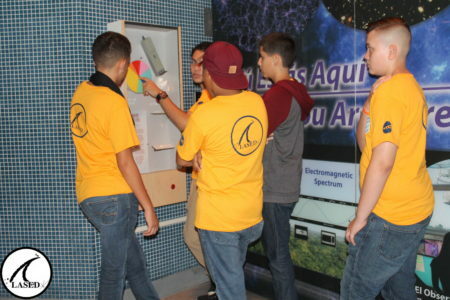 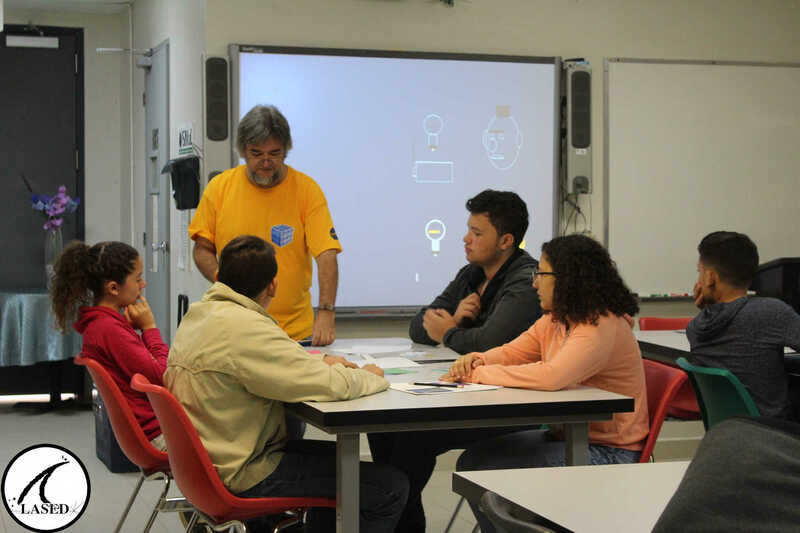 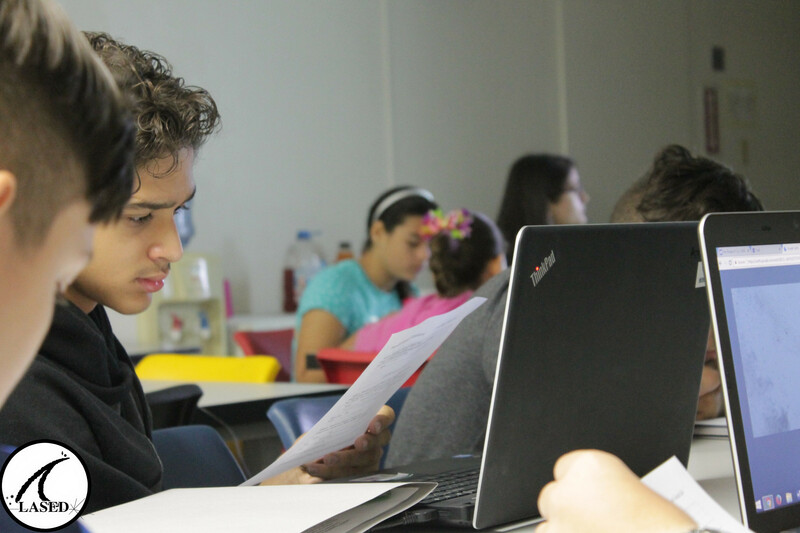 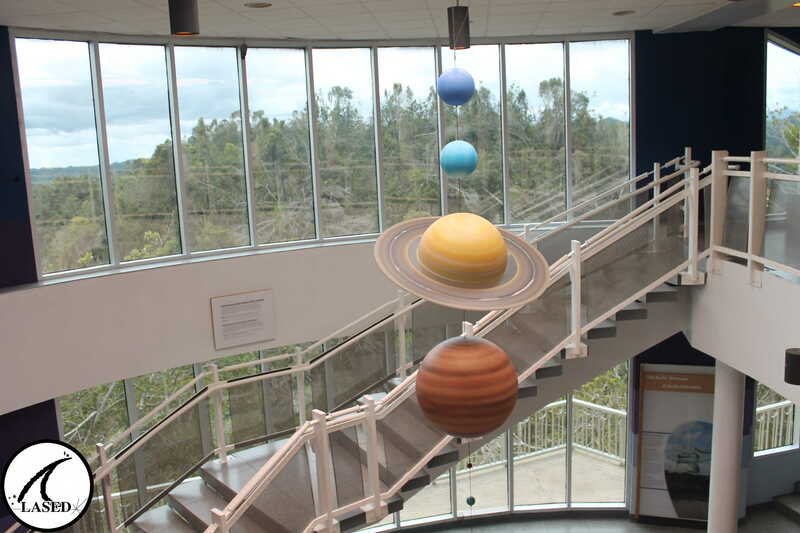 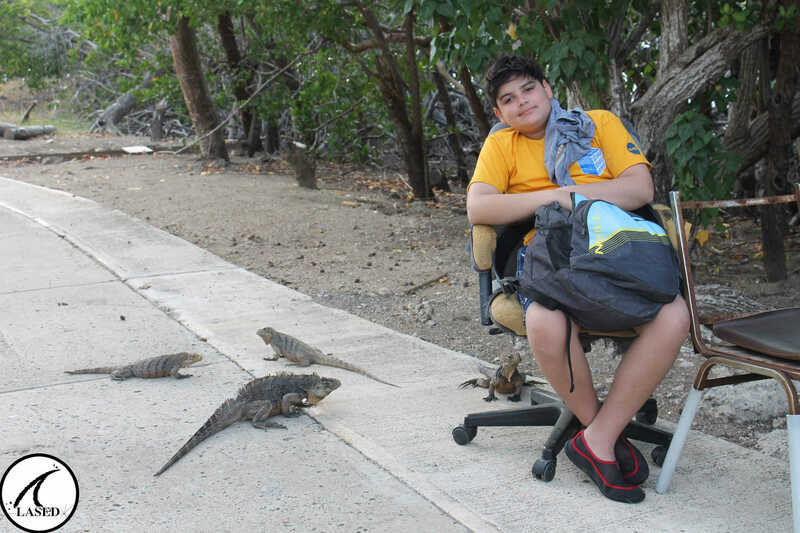 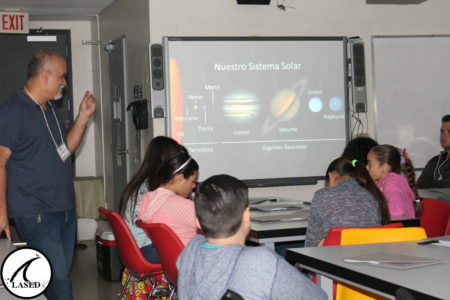 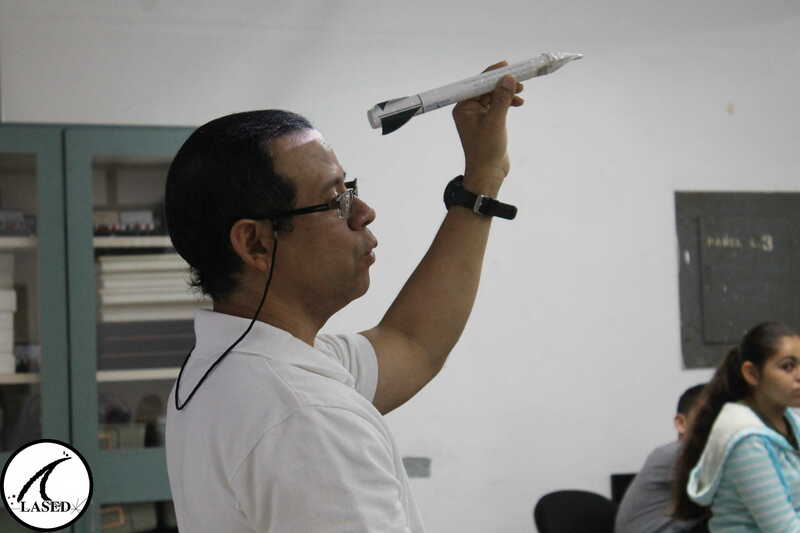 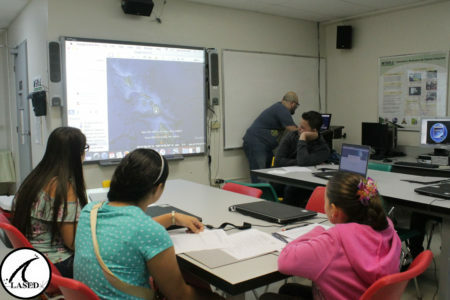 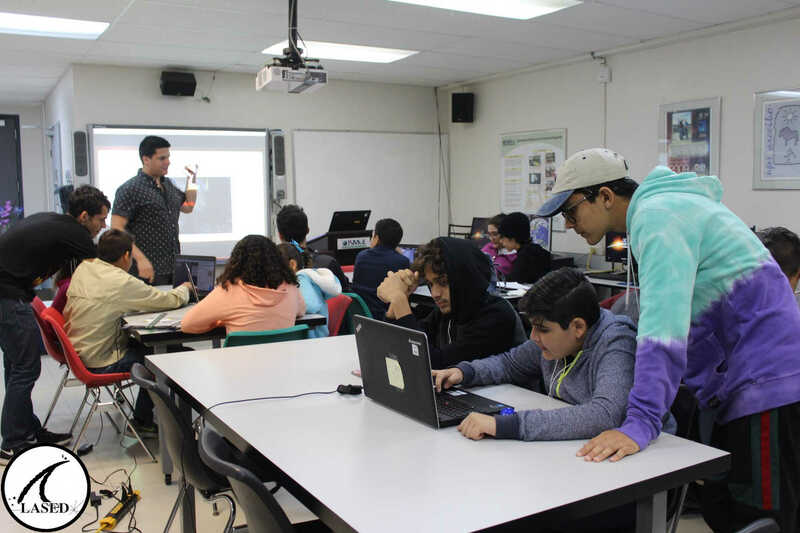 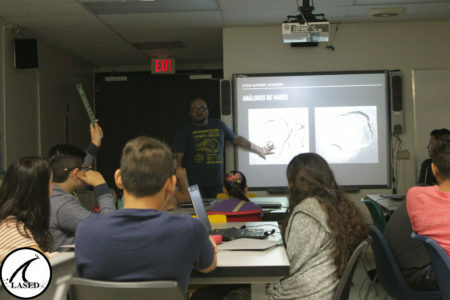 Professor Angel Acosta began dynamically with the Planetary Exploration workshop, where he traveled virtually to different planets using applications such as Mars Trek and Google Earth. 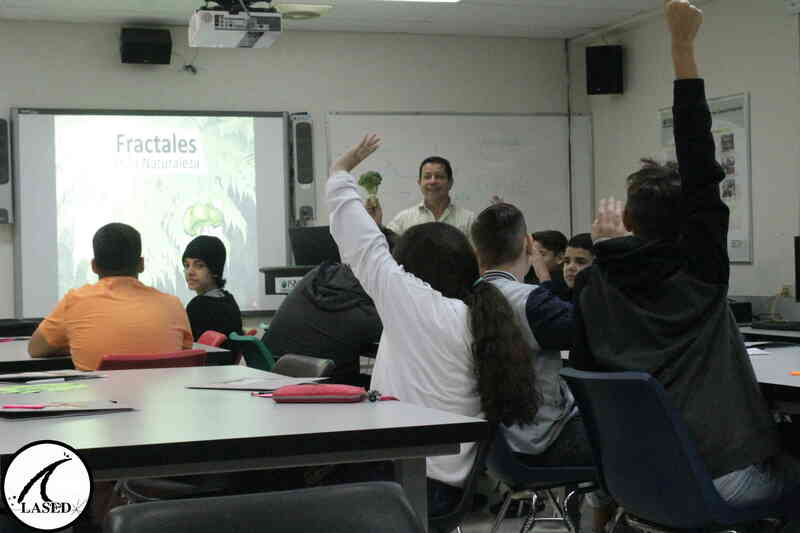 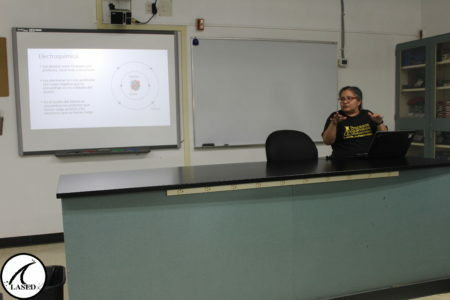 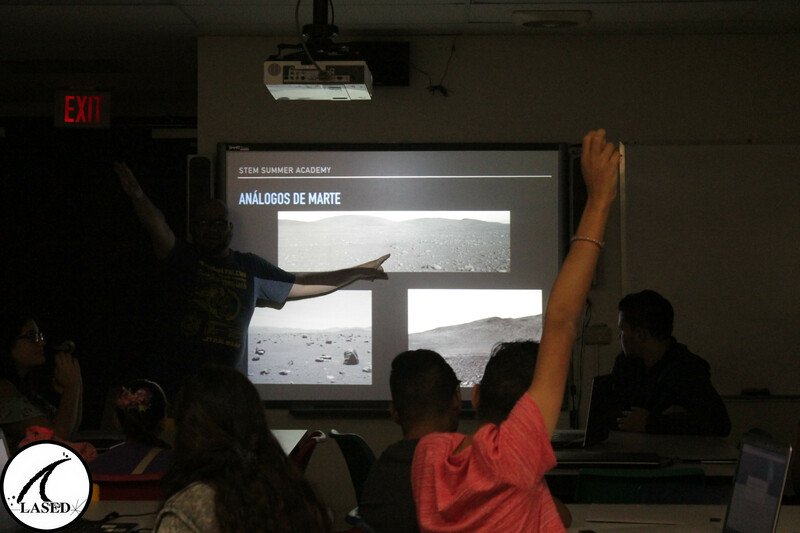 In the afternoon, Professor Abel Méndez explored life on other planets in the Exoplanets workshop, where he talked about Astrobiology, extraterrestrial life, the history of the earth, among other topics. 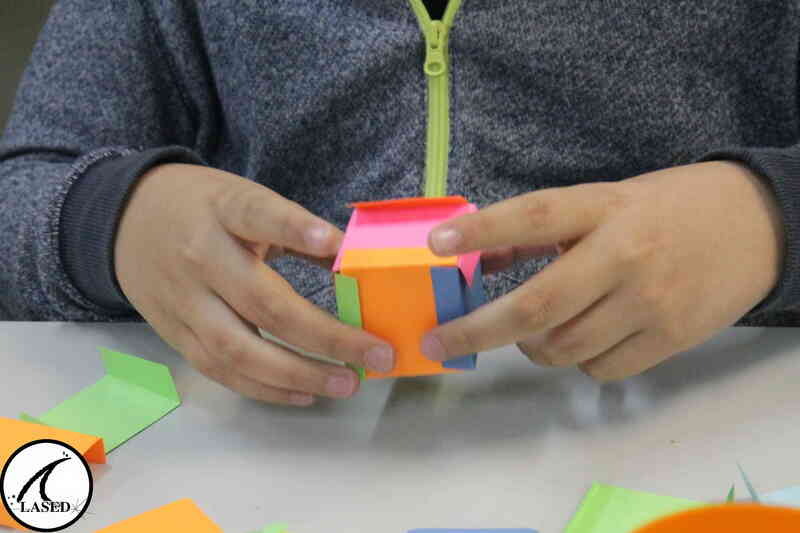 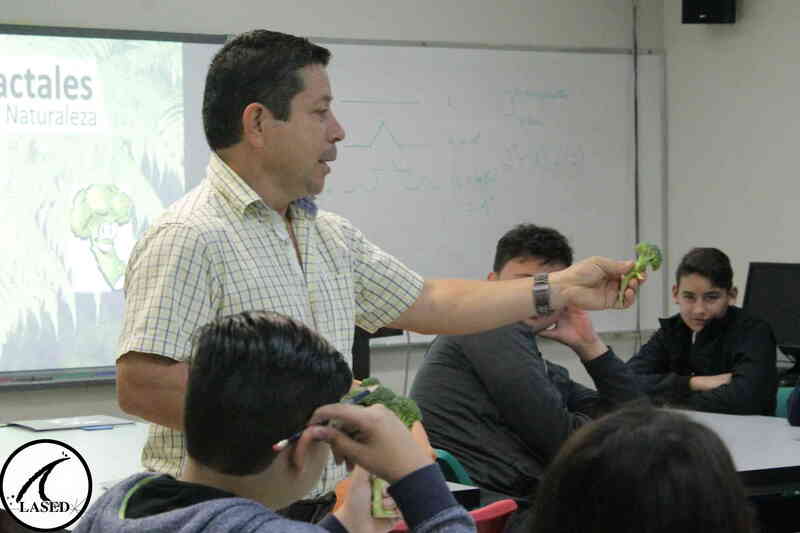 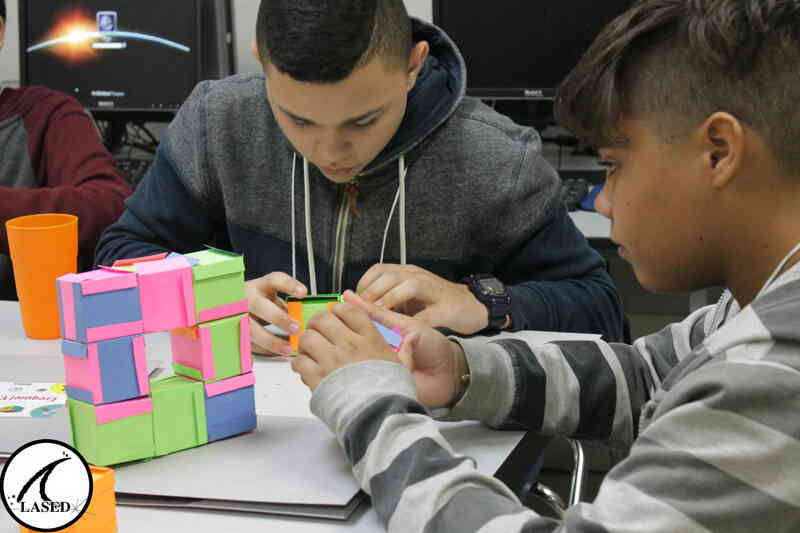 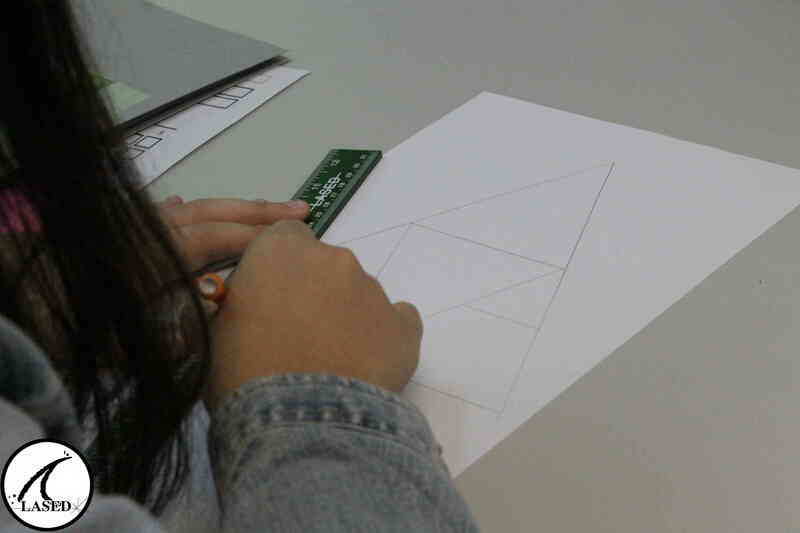 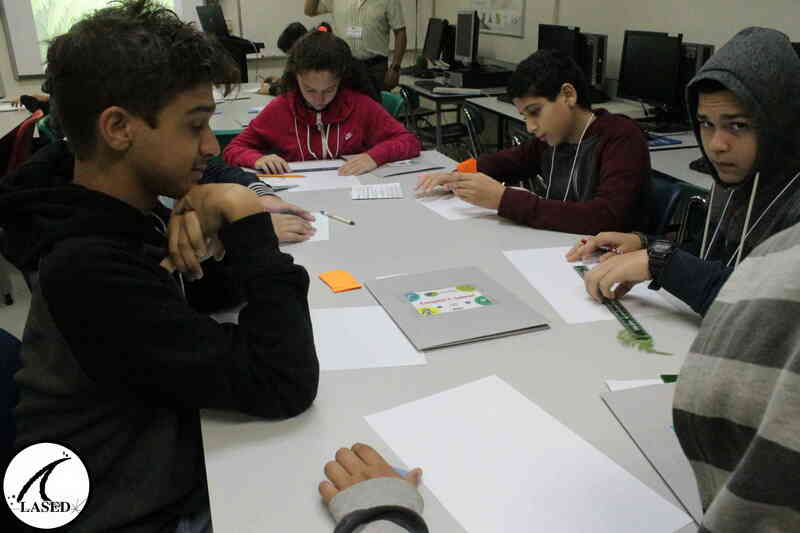 The children learned basic concepts about Fractals, and put their knowledge into practice in a very fun way with Professor Luis Rivera. 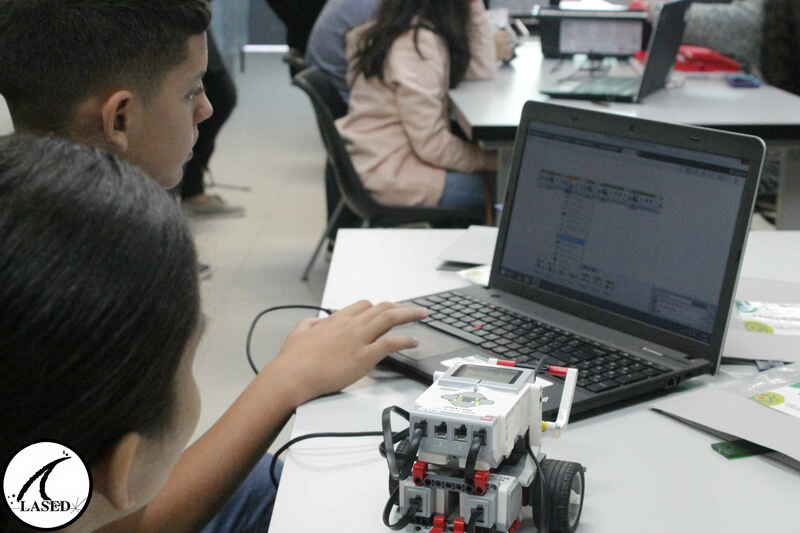 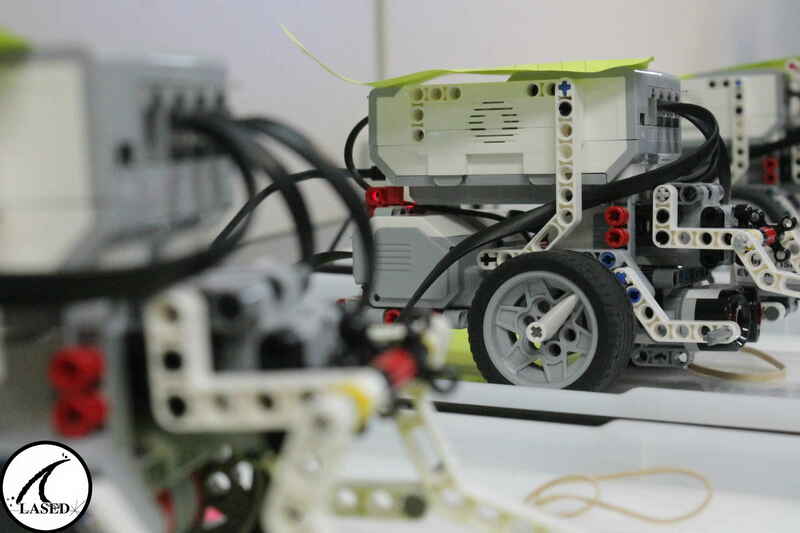 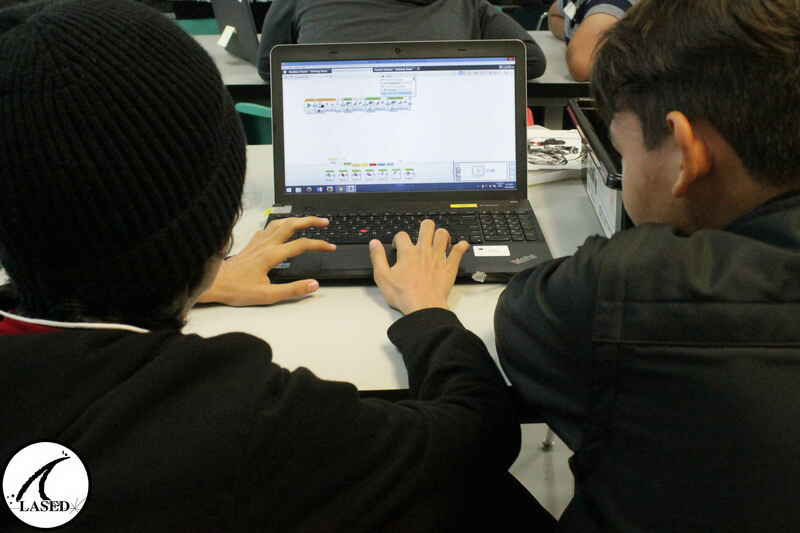 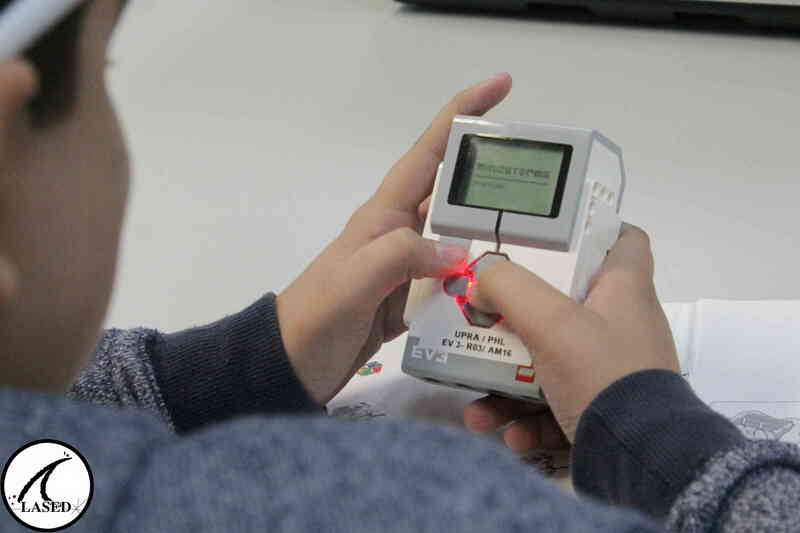 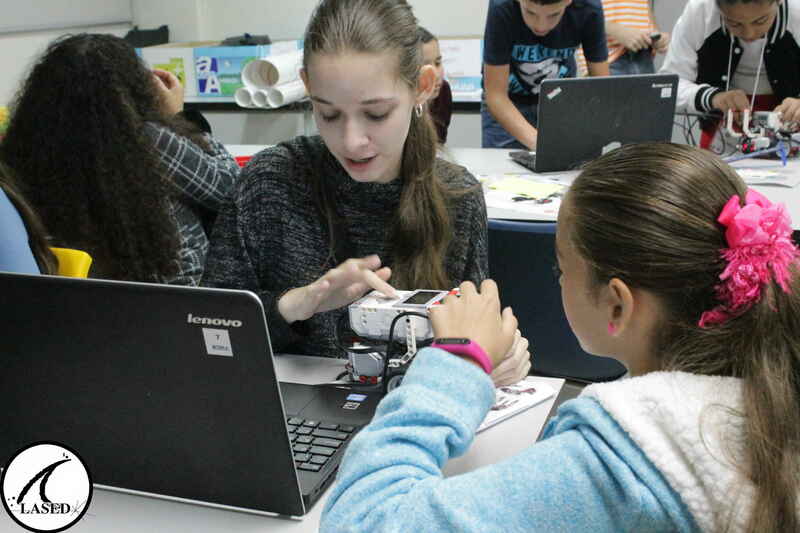 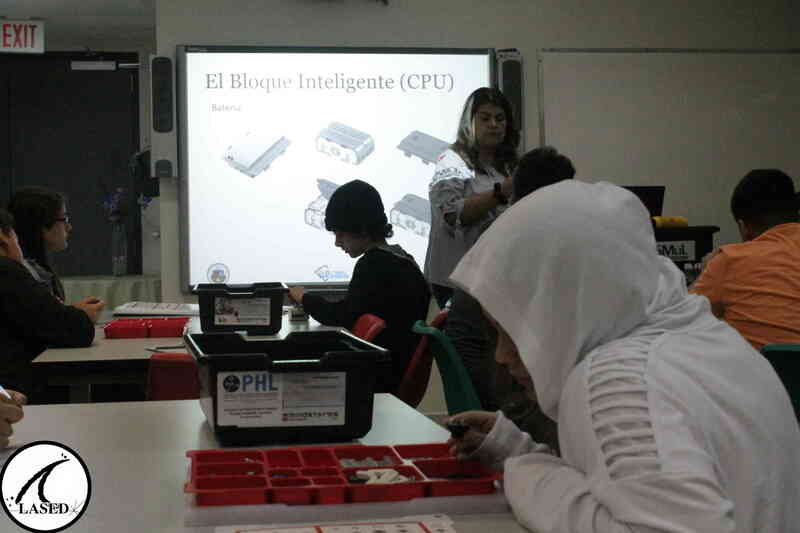 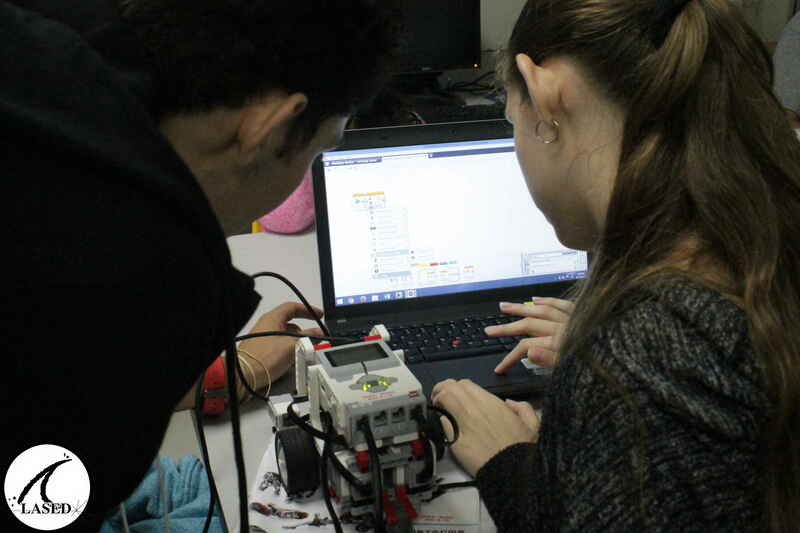 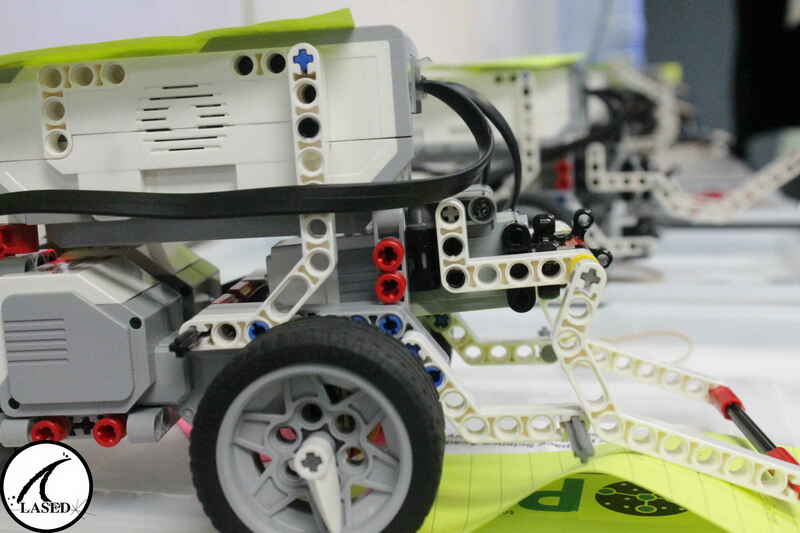 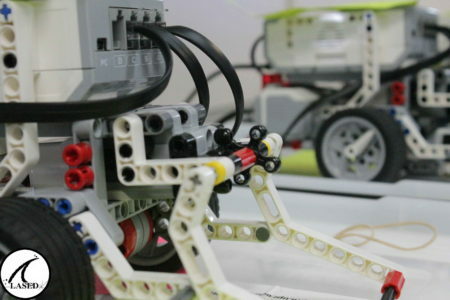 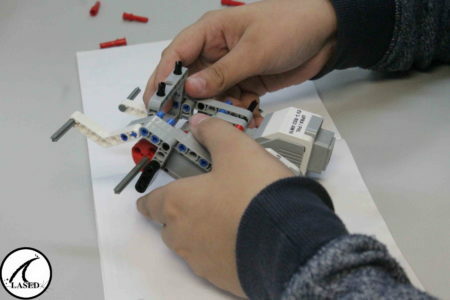 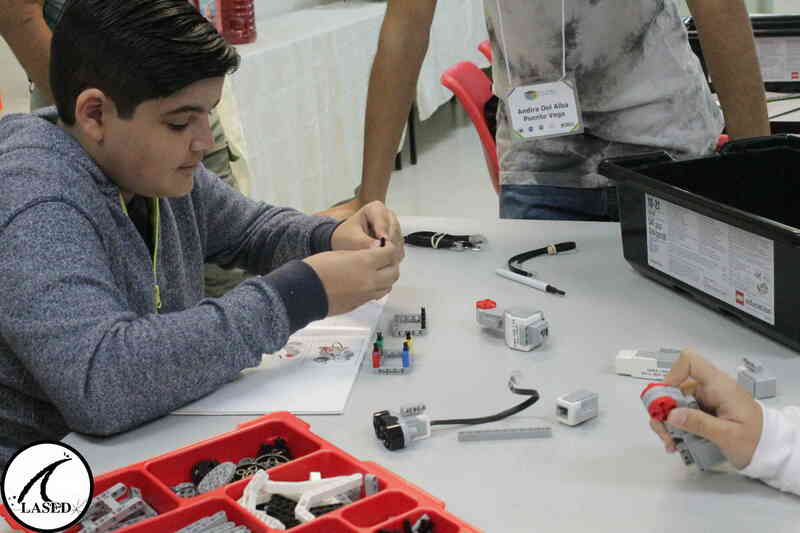 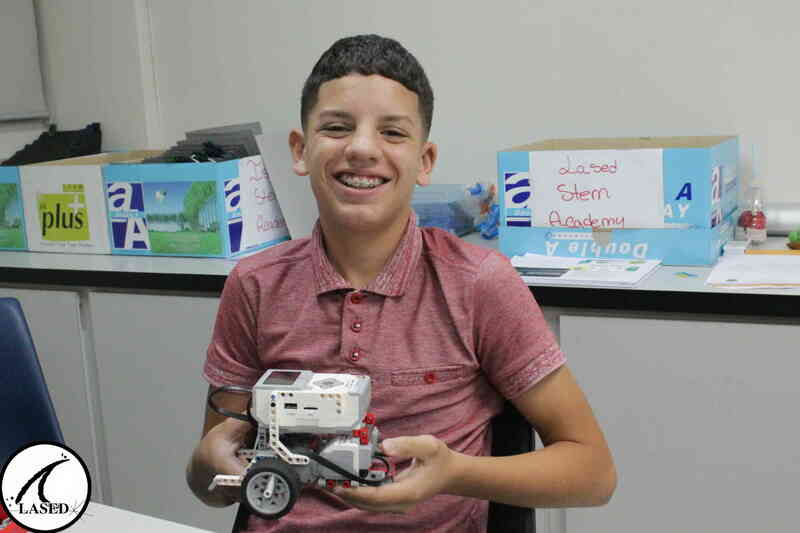 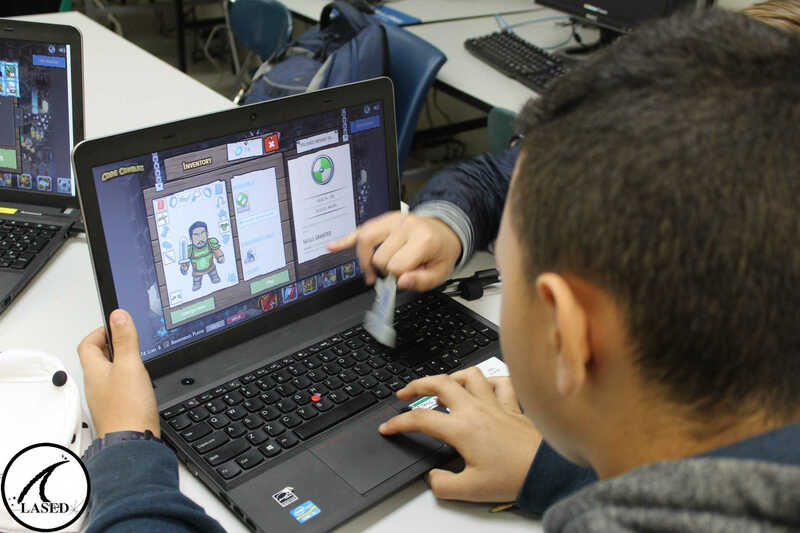 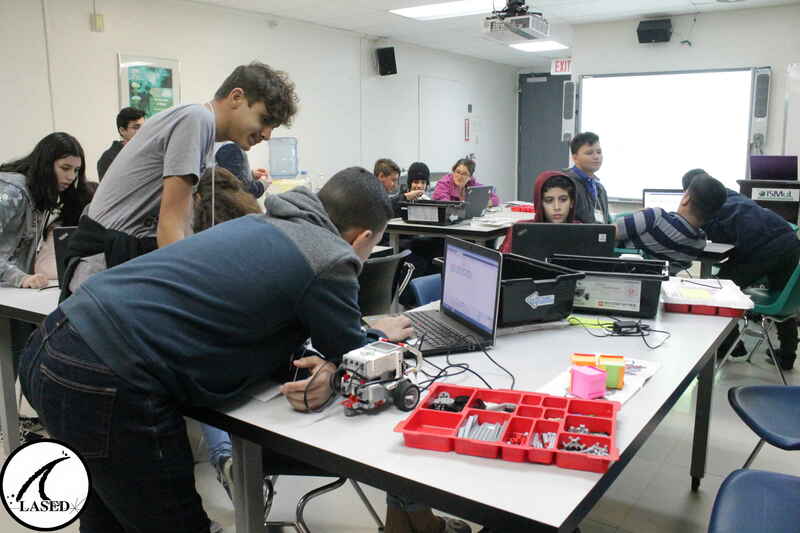 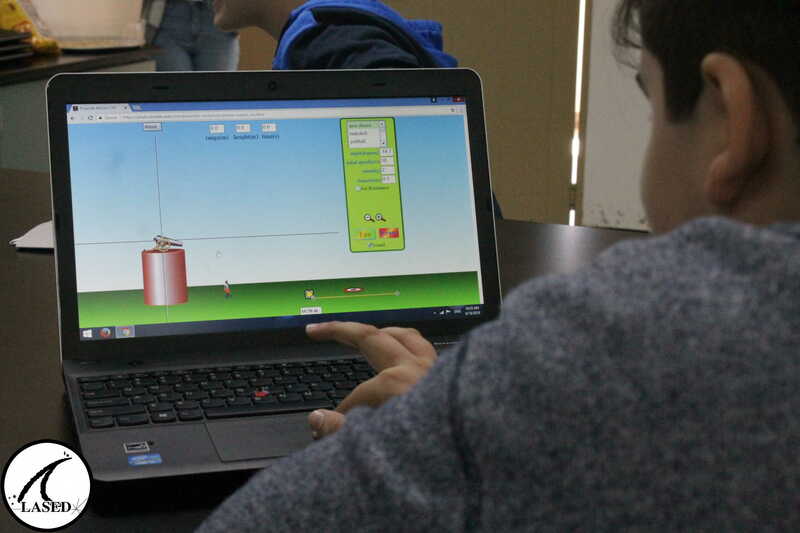 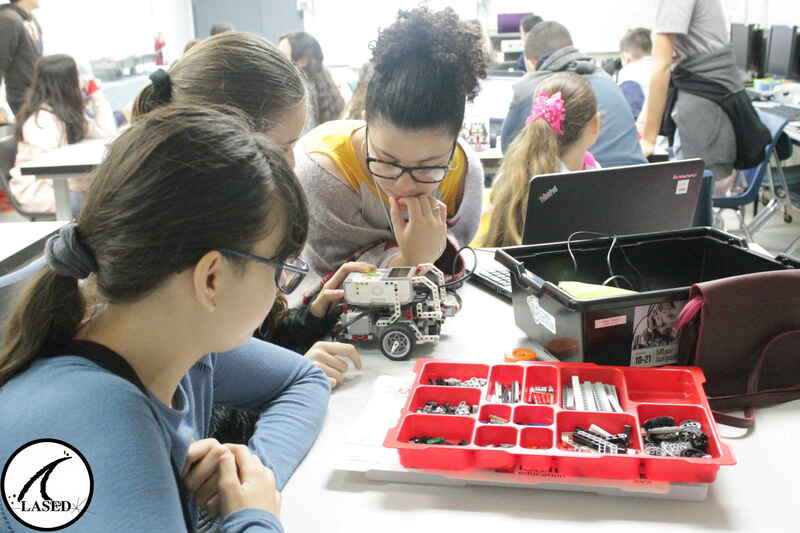 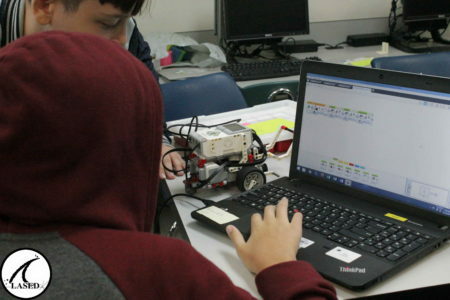 In the afternoon they entered the world of robotics with Dr. Eliana Valenzuela and even created robots using the tools of Lego Mindstorm EV3. 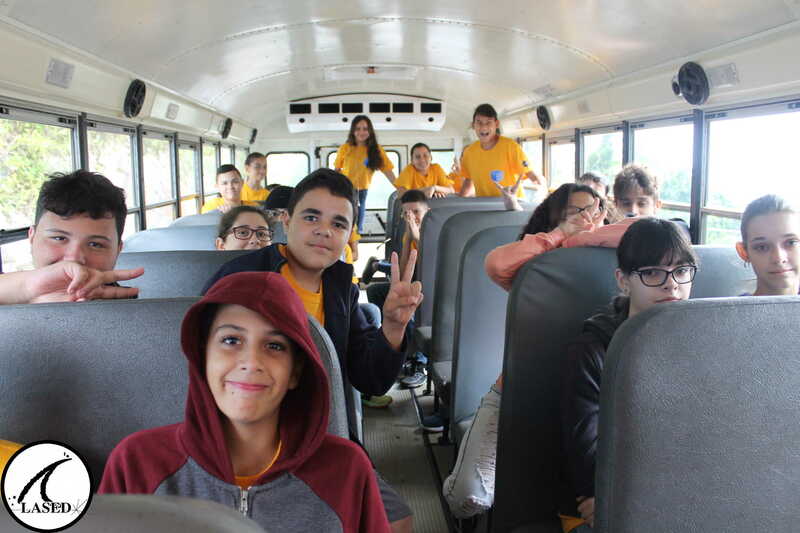 The adventure continues! 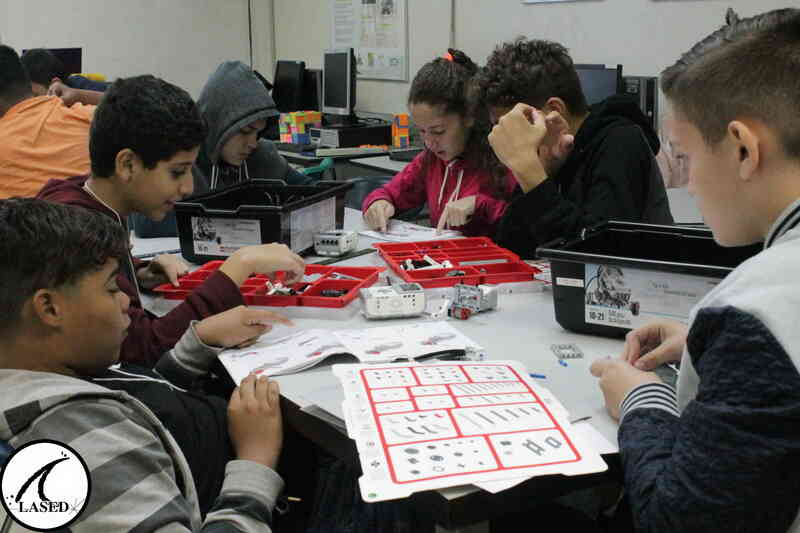 Today the kids continued with the robotics workshop. They learned about “loops” and sequential programming, working with Lego Mindstorm EV3 robots. 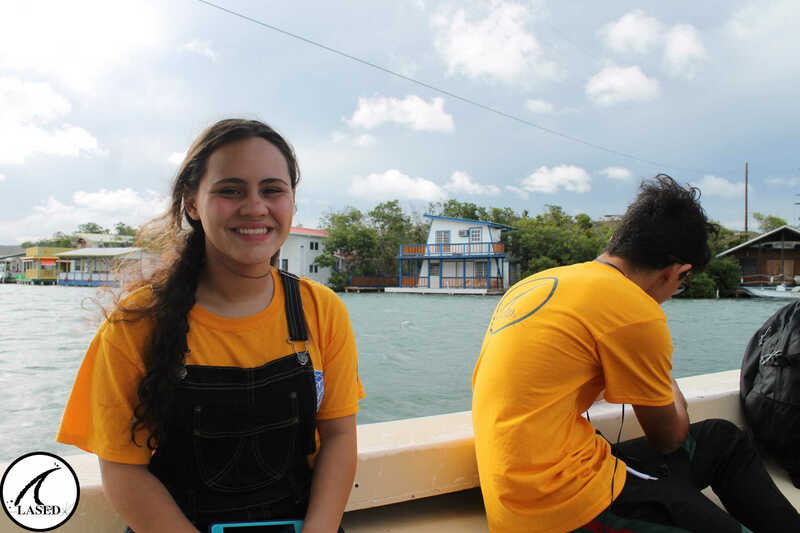 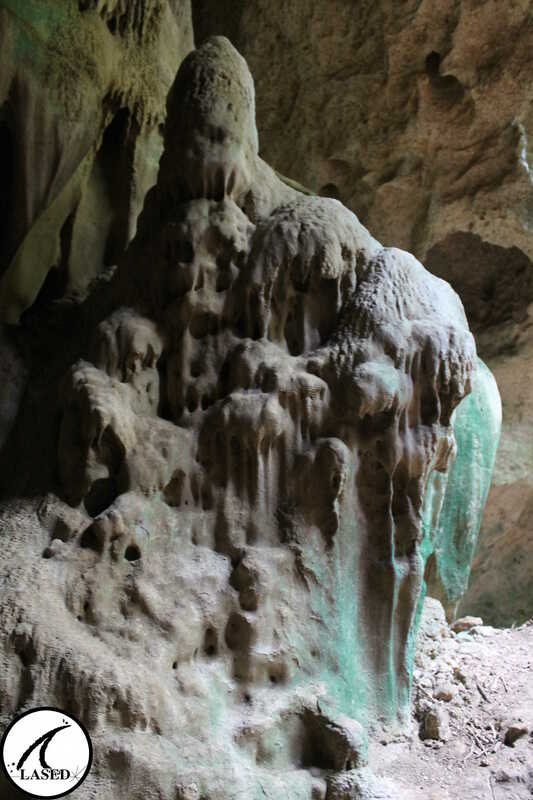 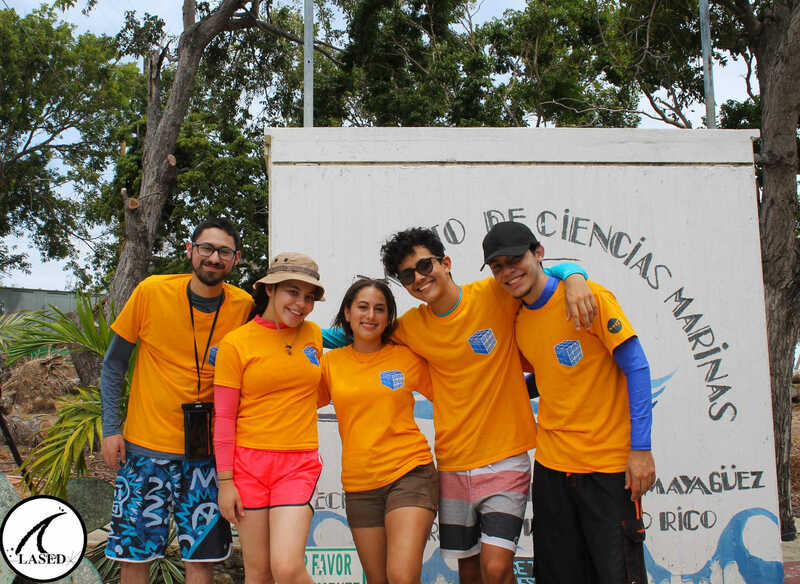 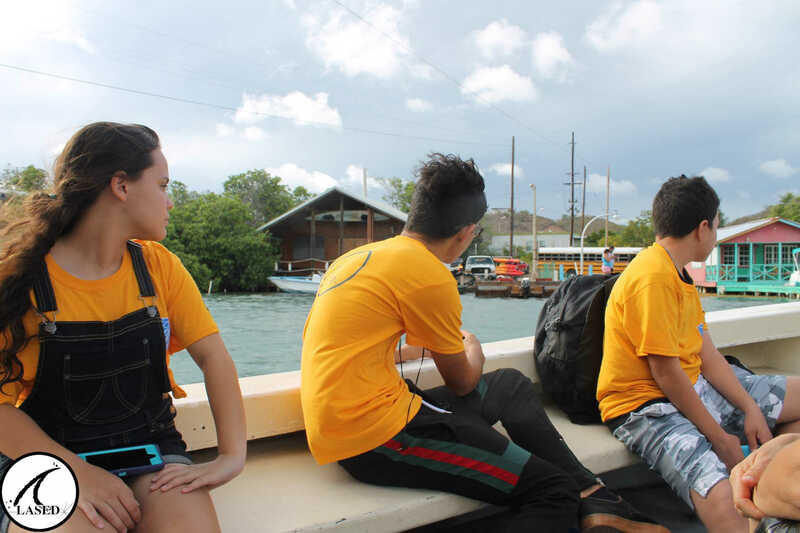 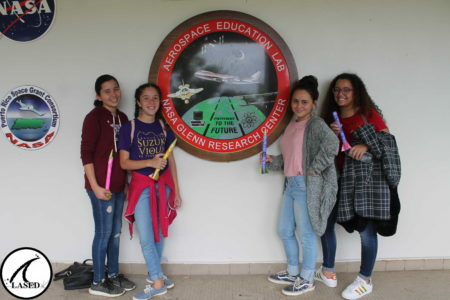 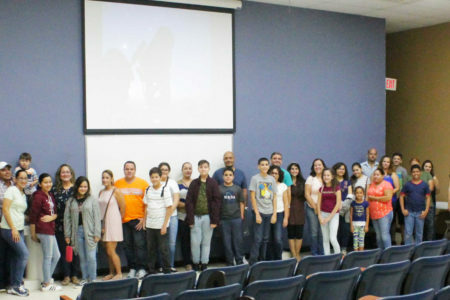 The decision making was an important factor in the lesson, and with that they managed to surprise Dr. Eliana Valenzuela, surpassing all the challenges that were presented to them. The Dr. was very happy with the progress the kids made. 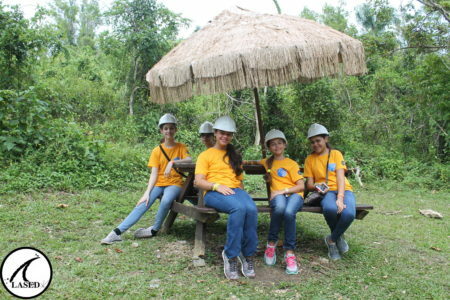 The adventure continues! 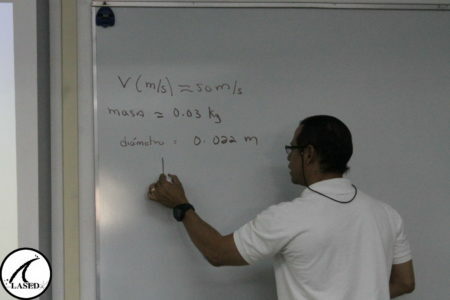 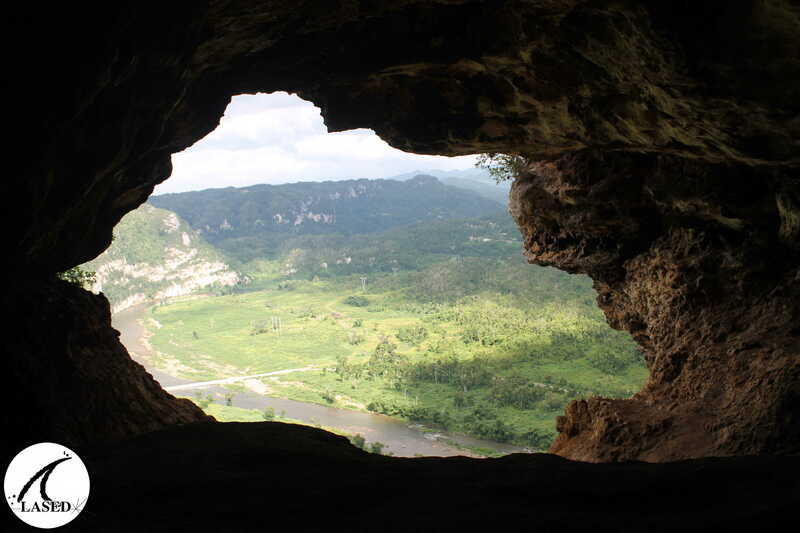 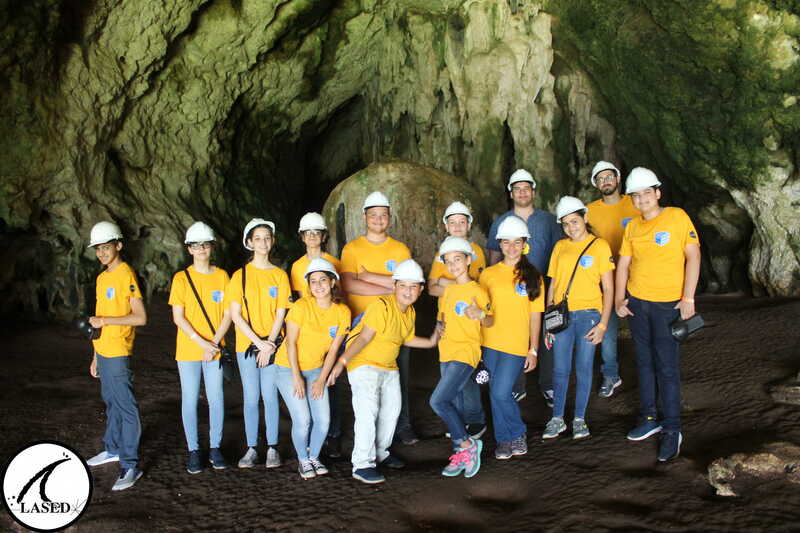 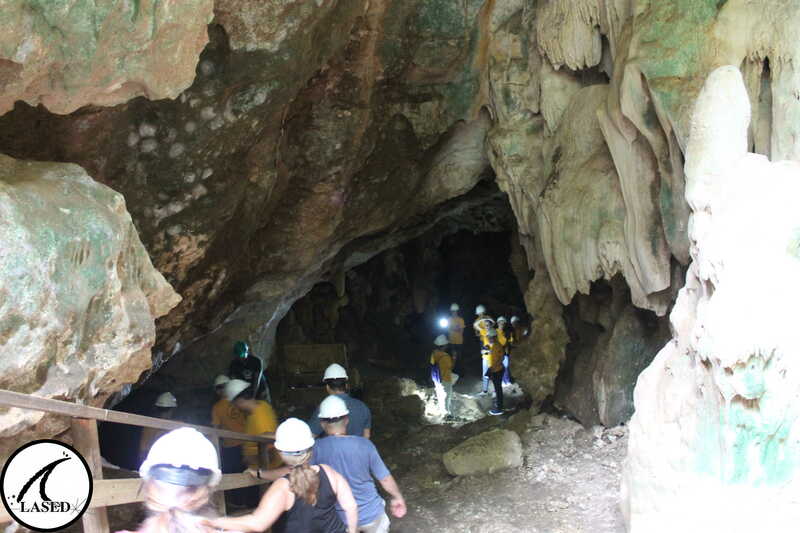 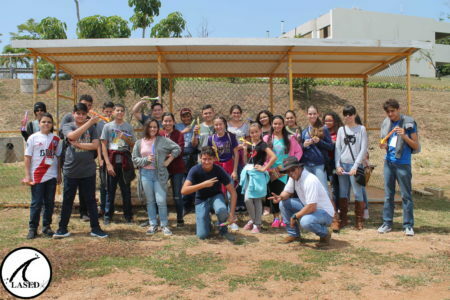 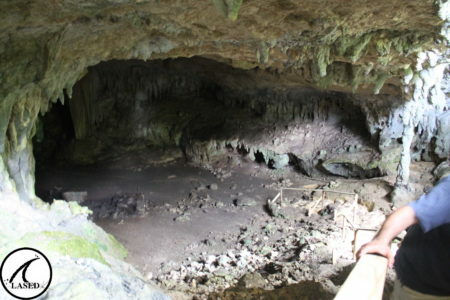 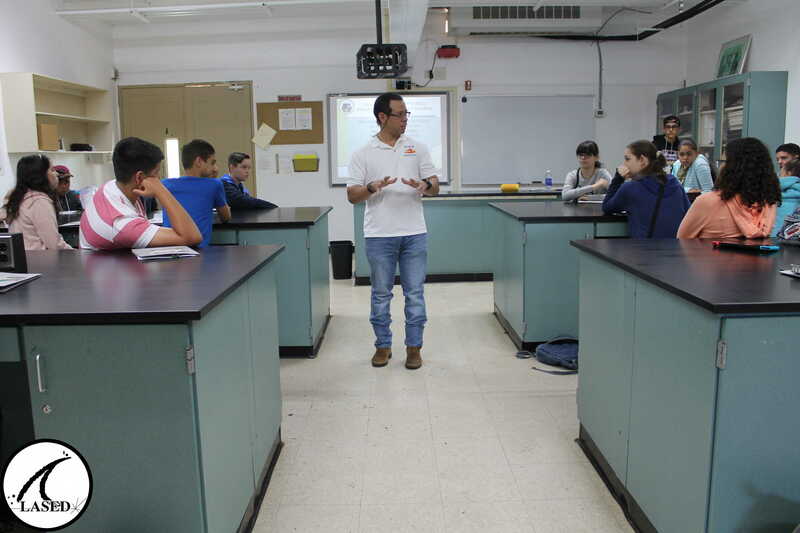 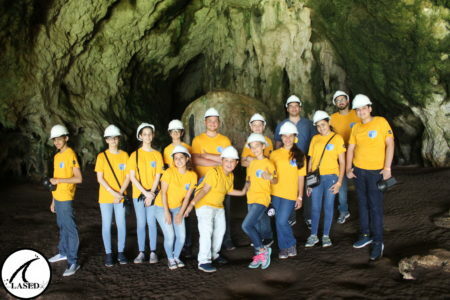 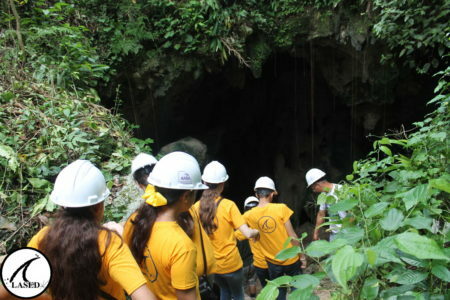 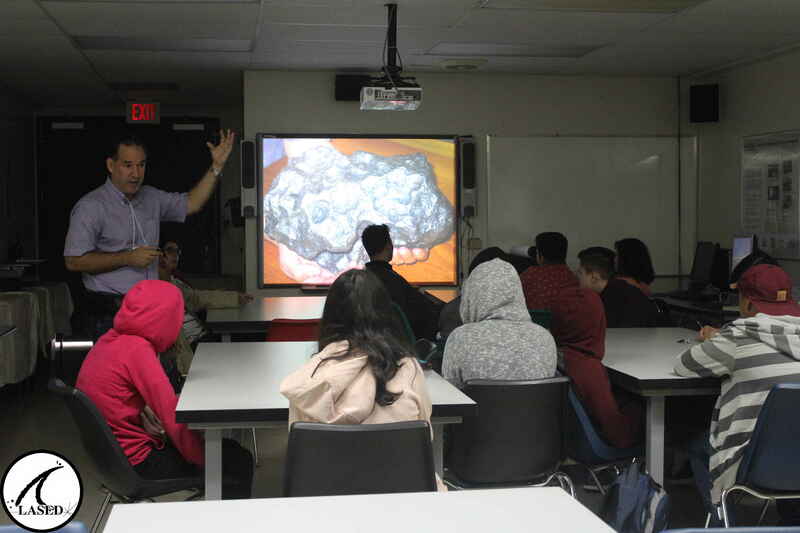 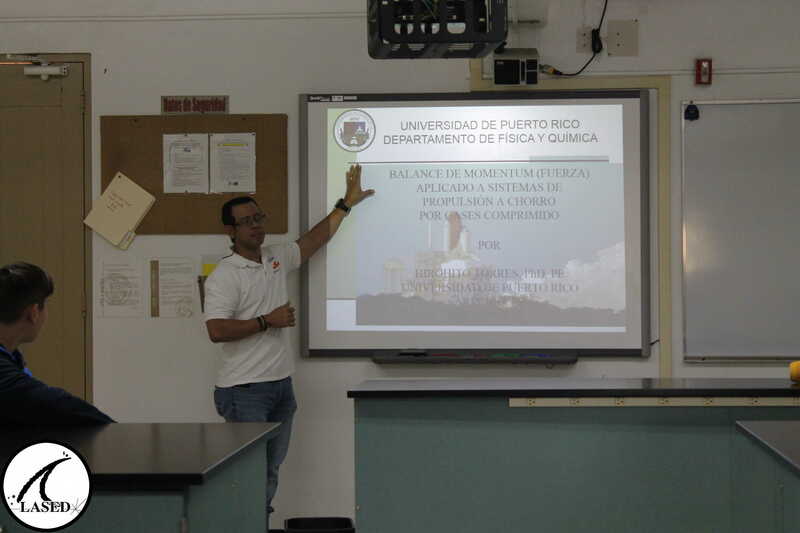 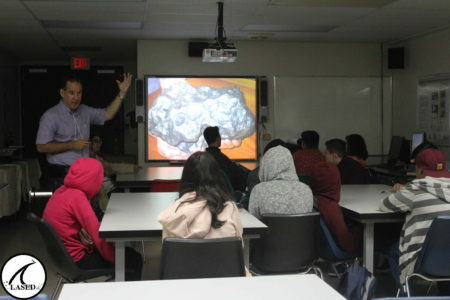 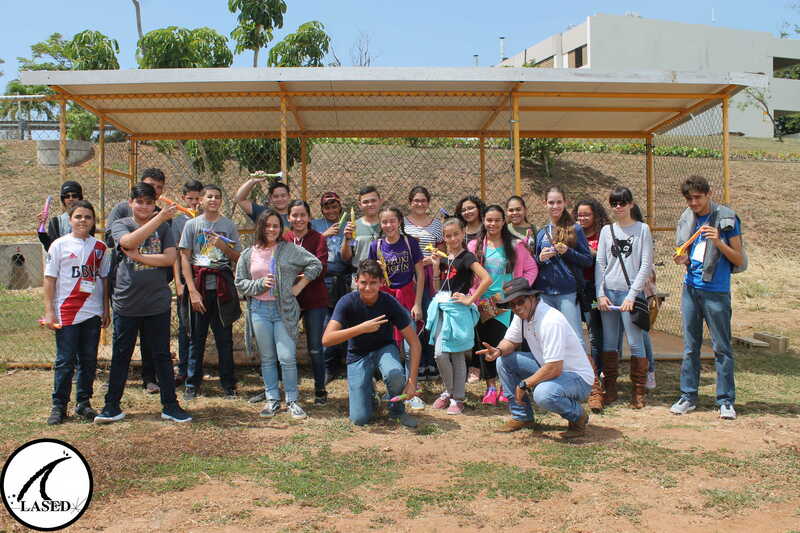 Dr. Pablo Llerandi shared a workshop on geology with the LASED students. 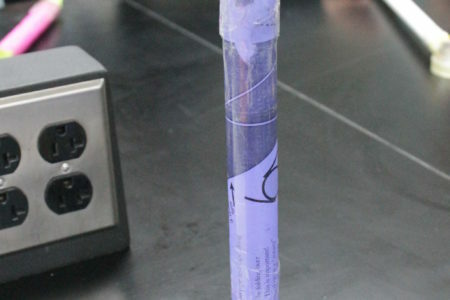 It was a day full of activities; one of them was about the nature of science and they even carried out experiments. Another activity involved rocks and minerals, The Dr. presented a variety of these materials and gave them a very fun and interesting lesson. 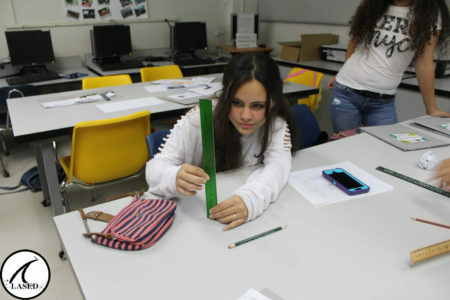 They also learned about earthquakes, how they are measured and how they are located. 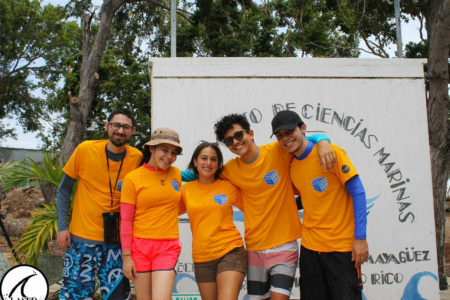 The adventure continues! 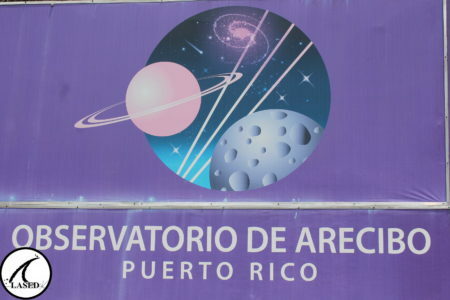 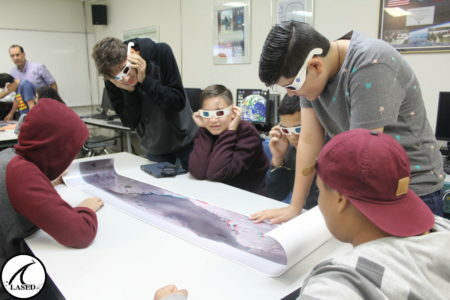 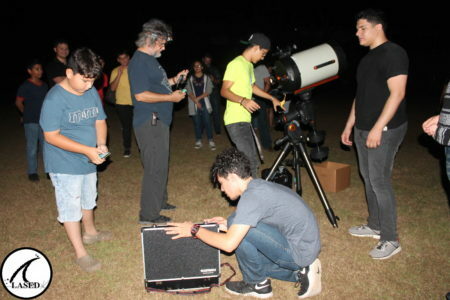 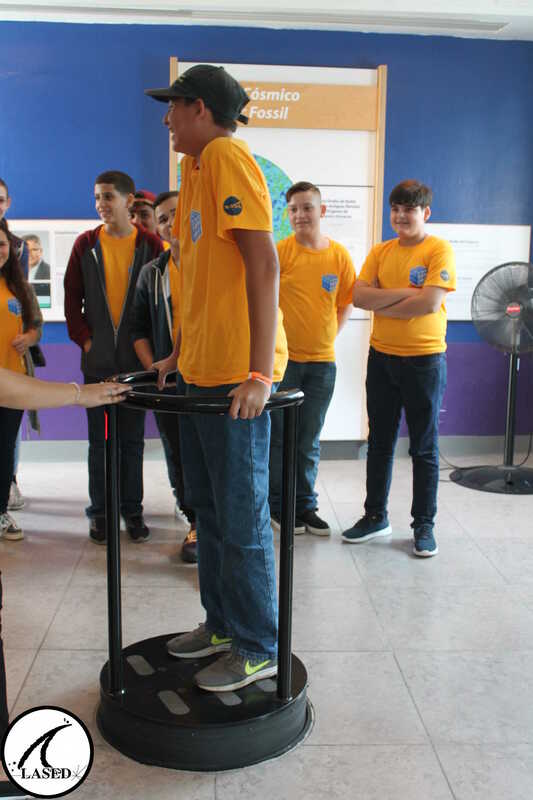 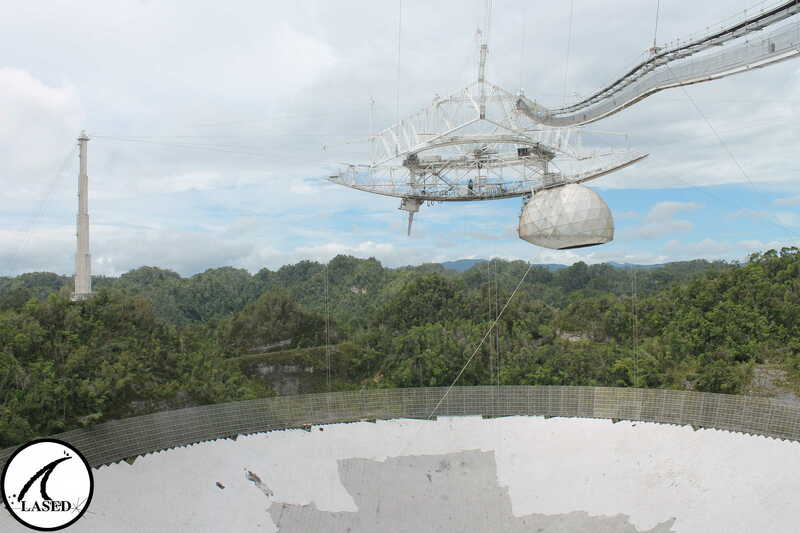 The boys attended an Astronomy workshop, led by the specialist in the area, Eddie Irizarry. 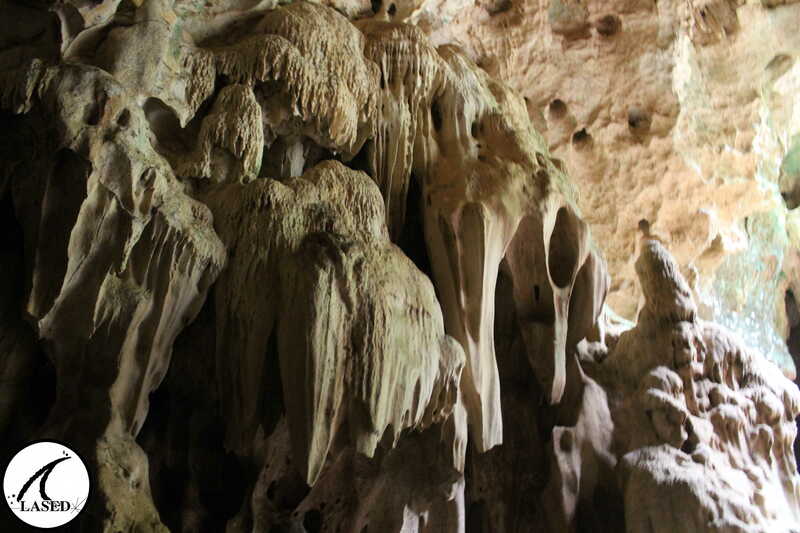 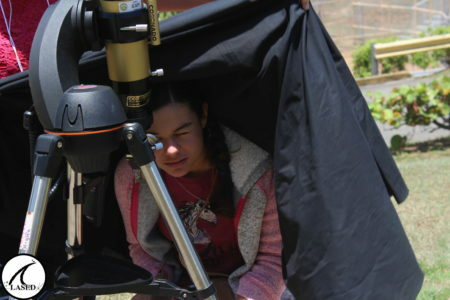 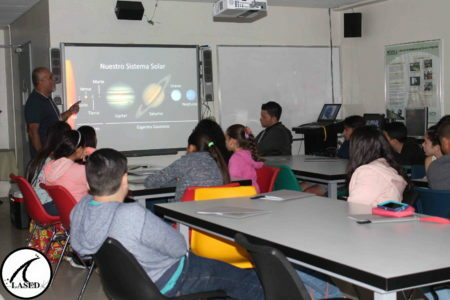 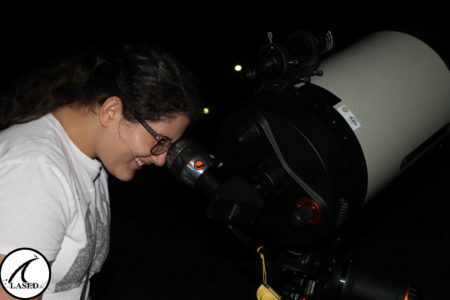 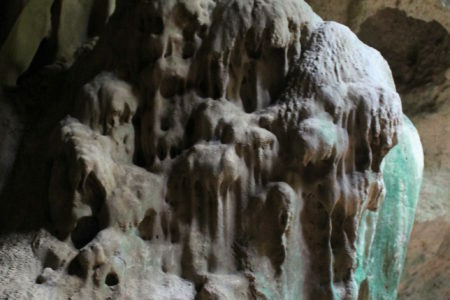 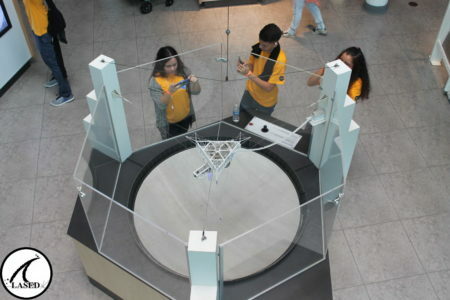 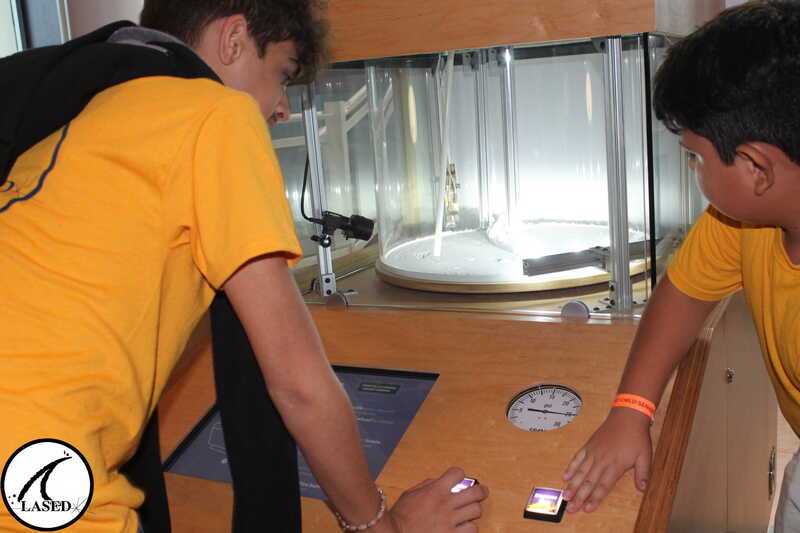 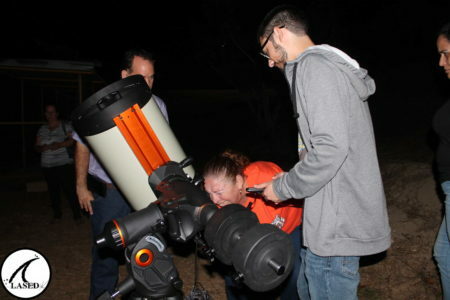 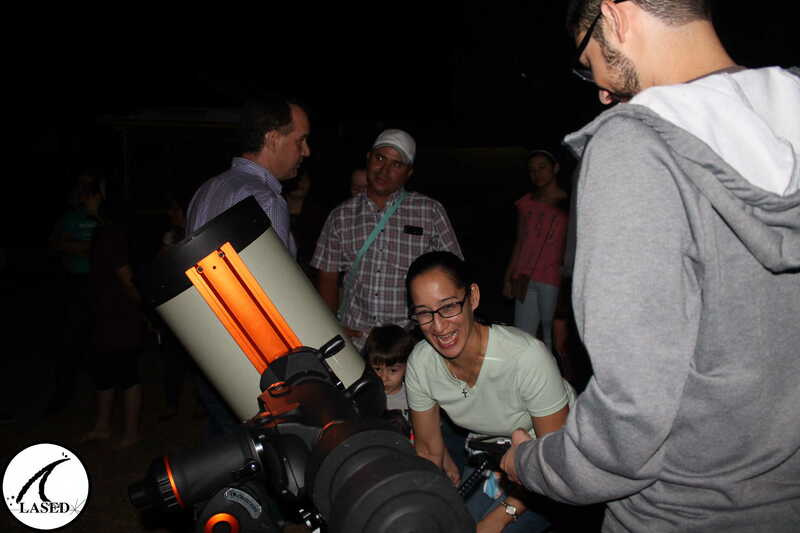 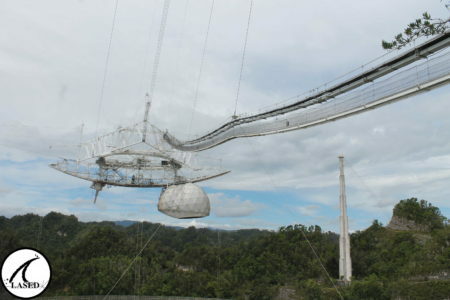 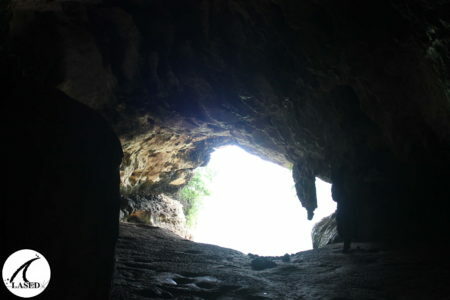 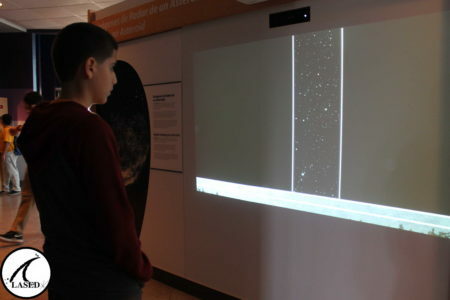 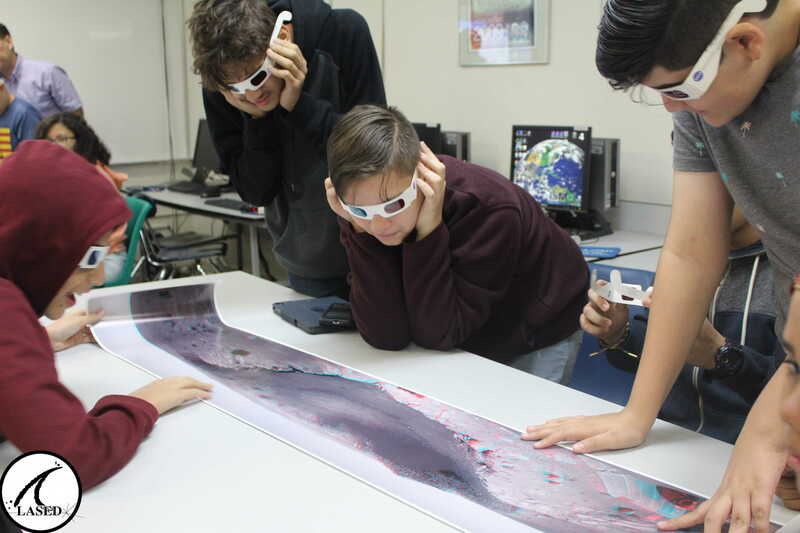 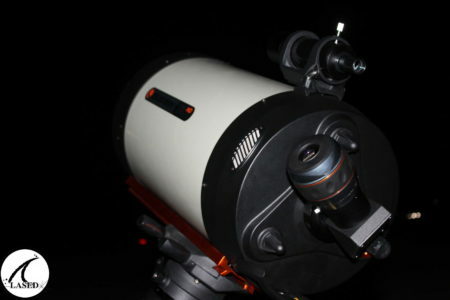 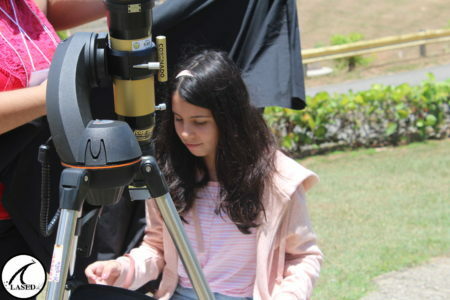 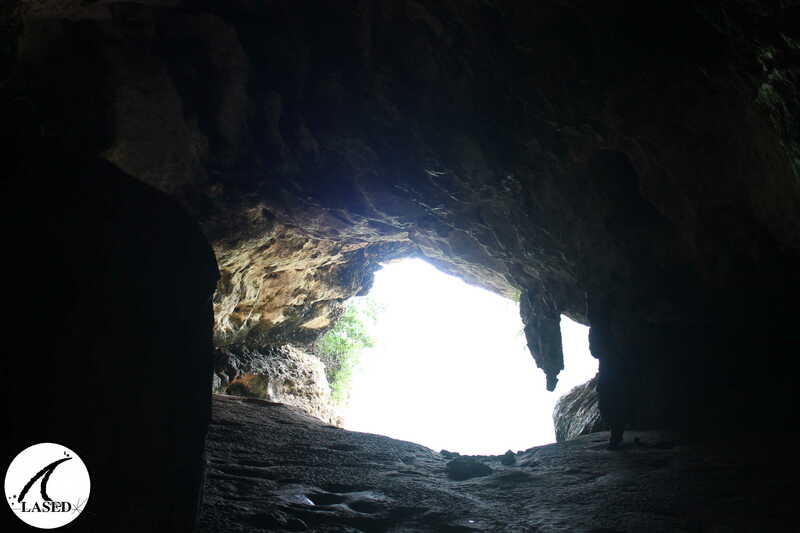 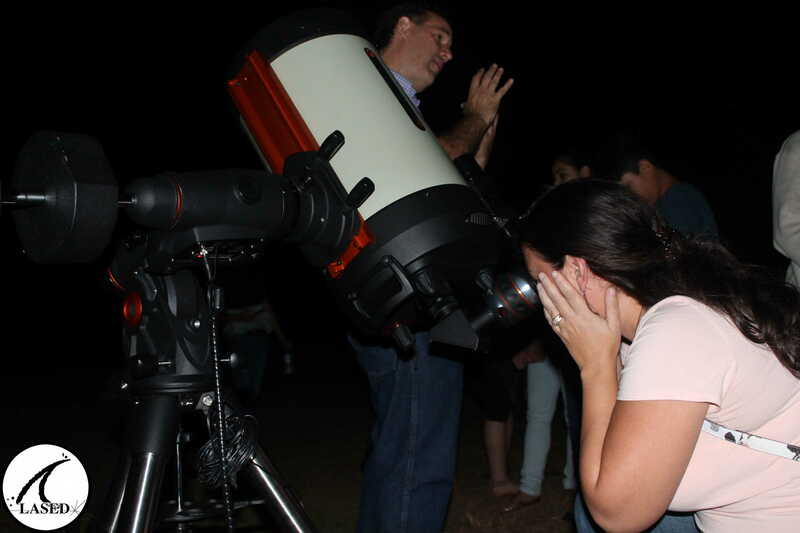 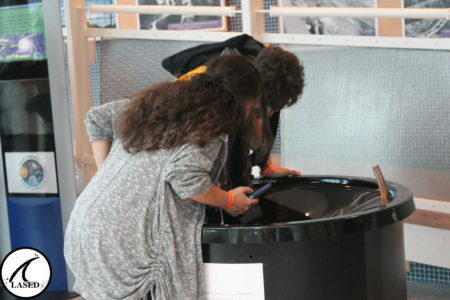 In the activities that were carried out, the online planetarium, Stellarium, was used and they learned about the Curiosity software, whose function is to explore the planet Mars. 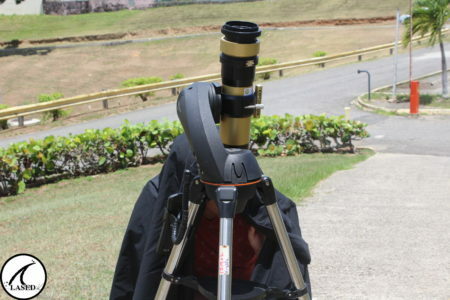 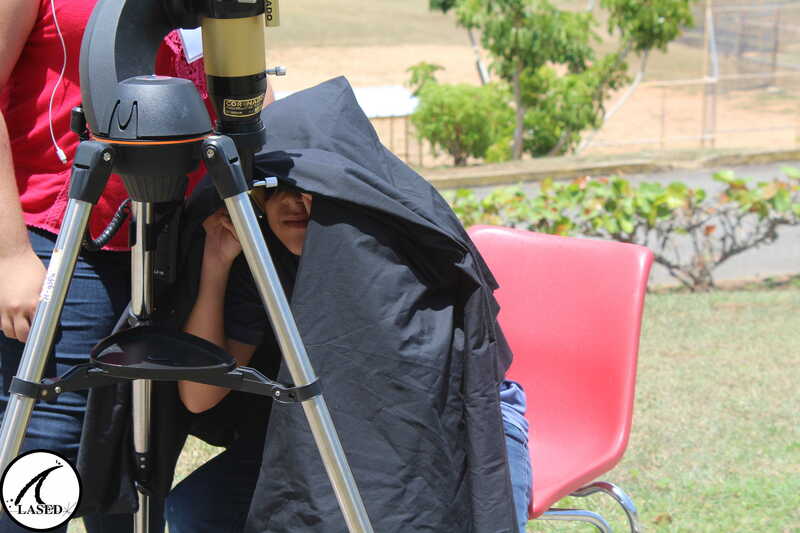 In the afternoon, the children had the opportunity to see the Sun through a telescope and learn about meteorites, and they even saw one in person thanks to Mr. Irizarry. 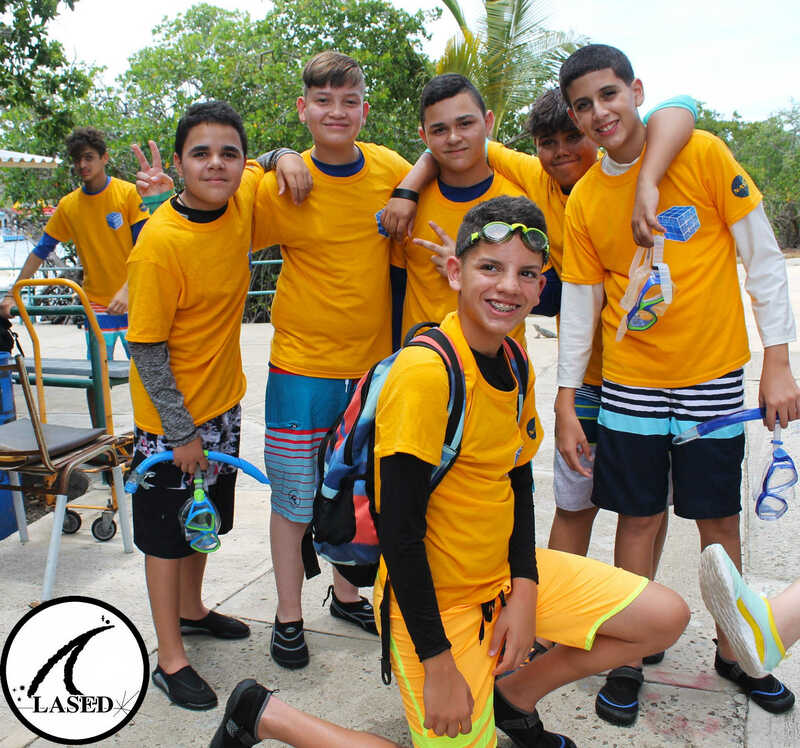 We have started the second week of LASED! 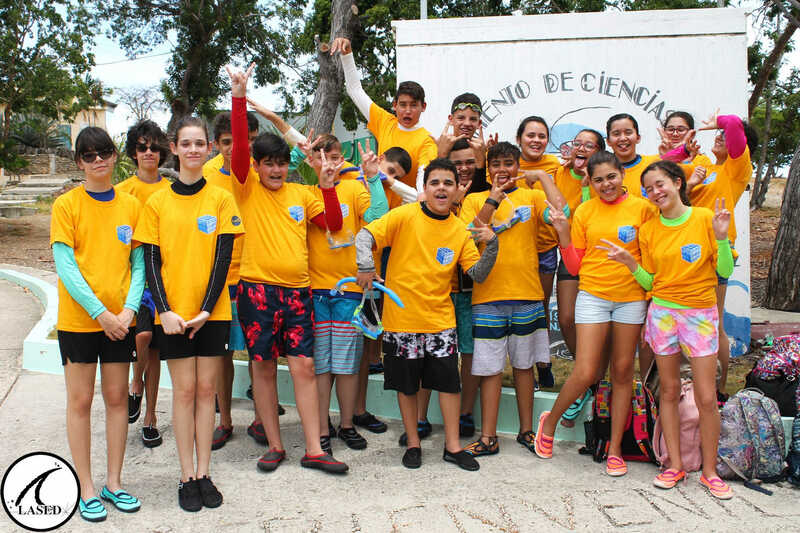 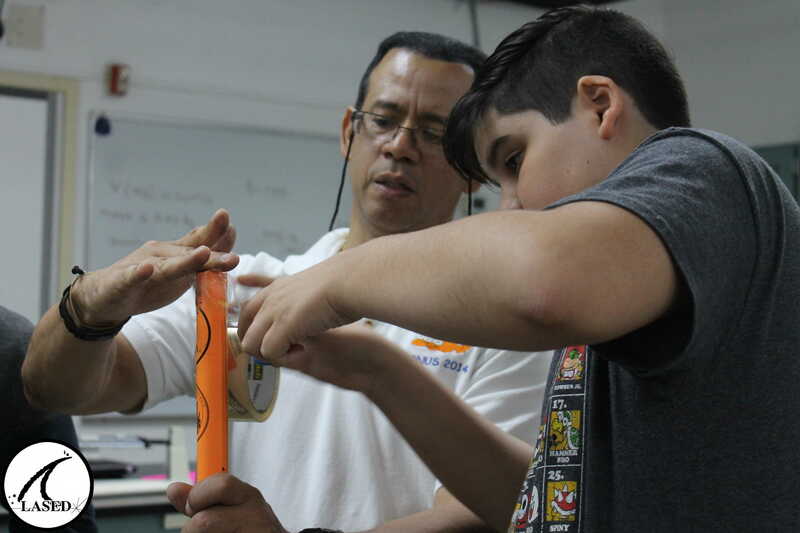 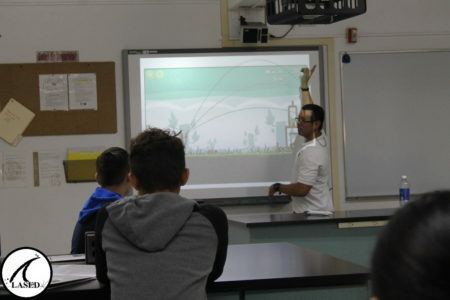 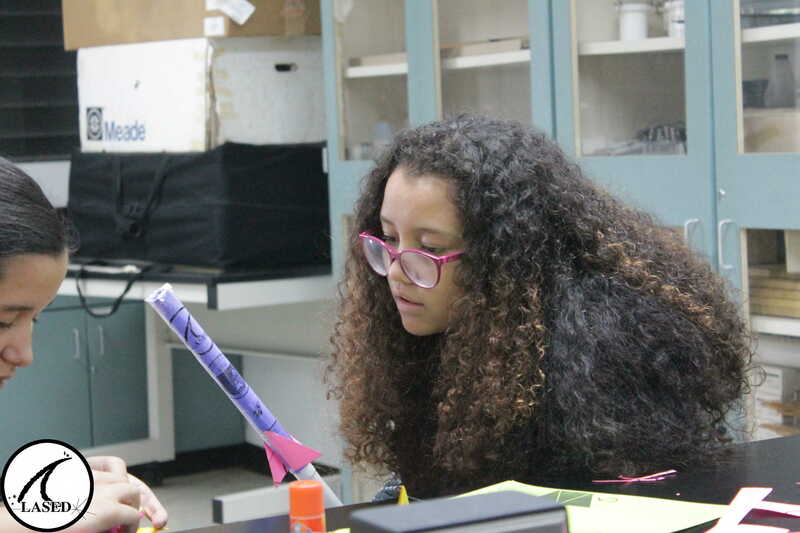 The week started explosive; During the day, the children participated in a workshop on rockets led by Dr. Hirohito Torres. 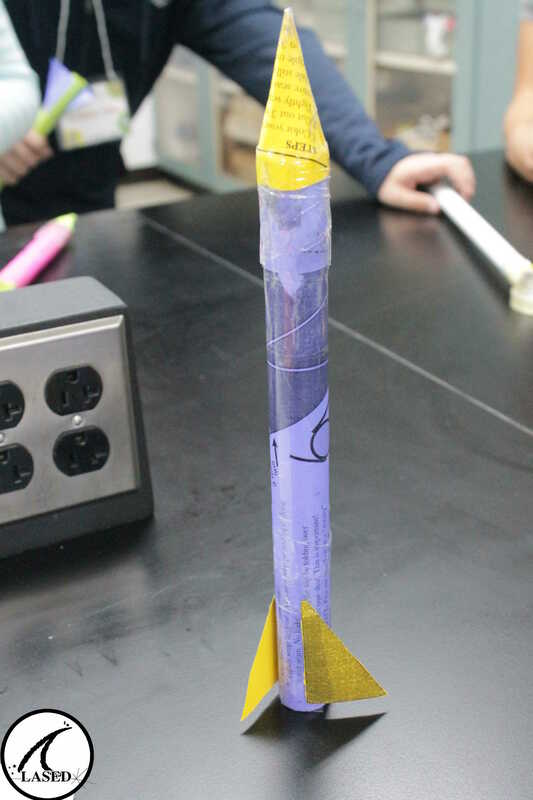 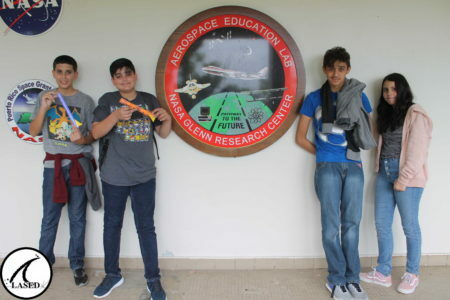 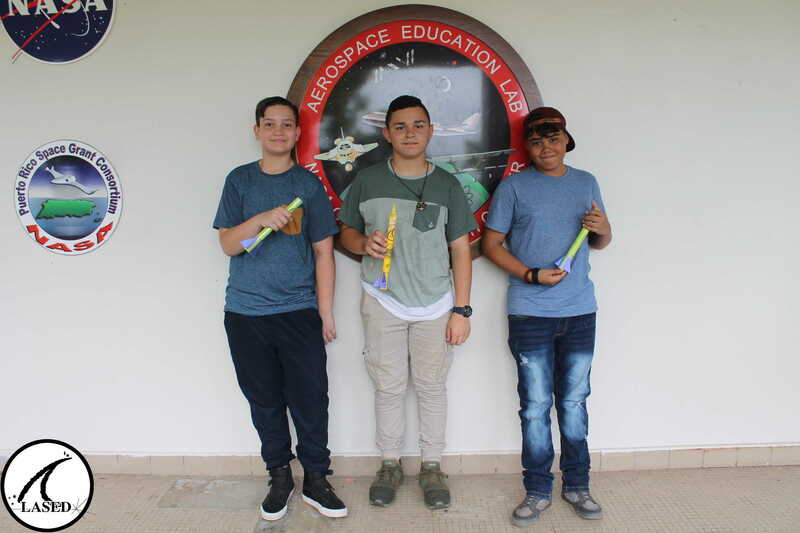 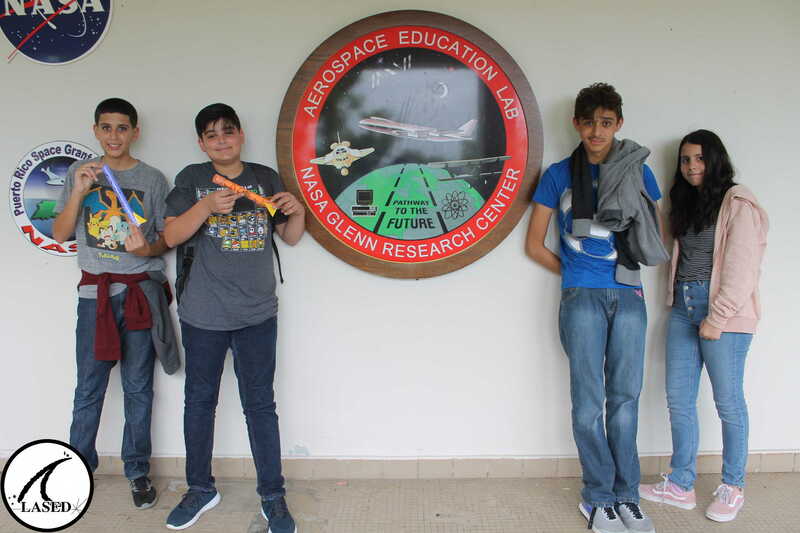 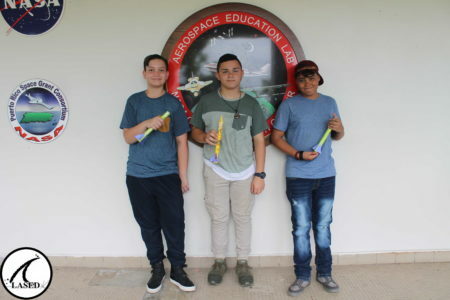 In the morning, after a presentation on the subject, the boys where tasked to create their own rockets using materials such as paper, tape and plasticine. 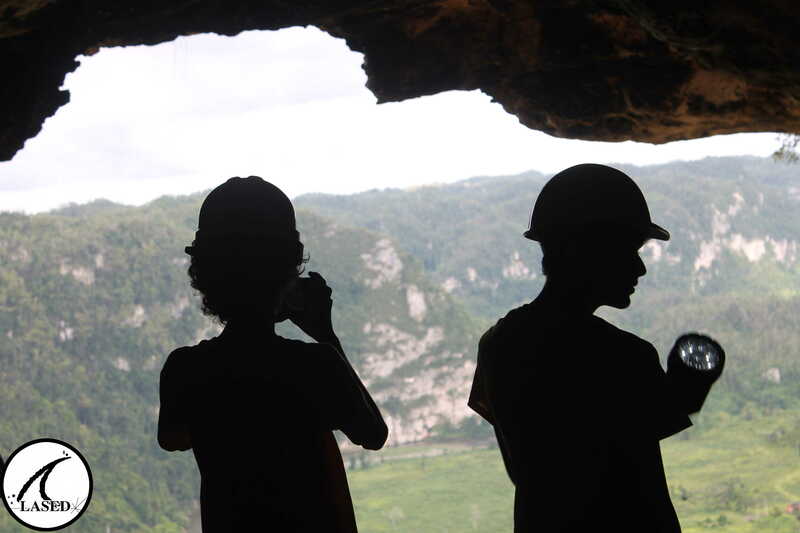 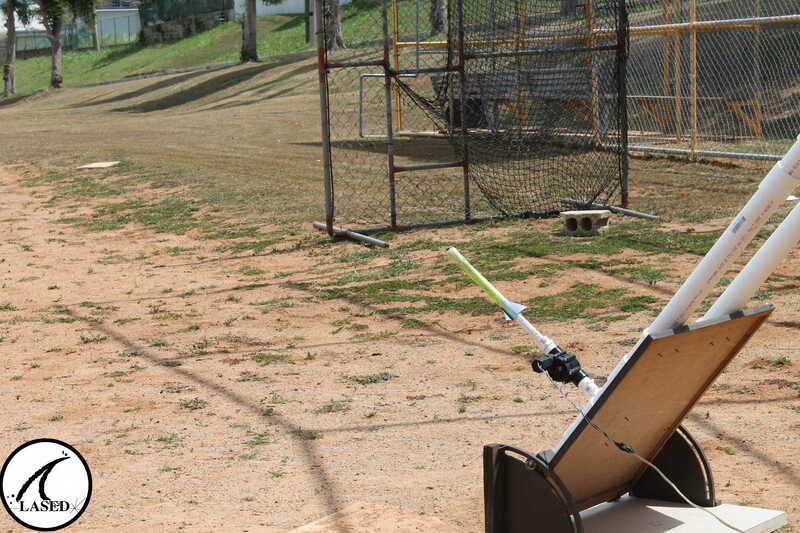 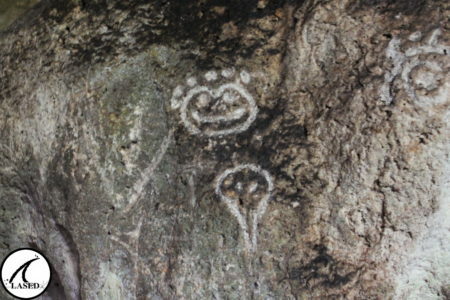 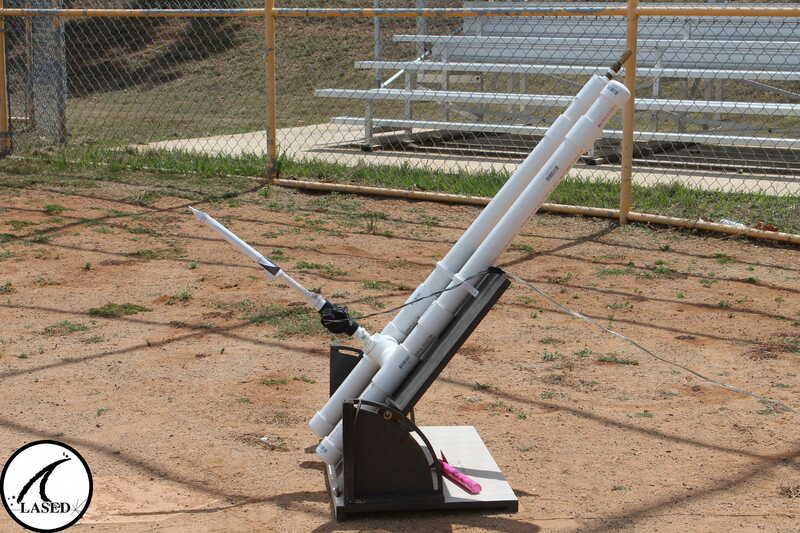 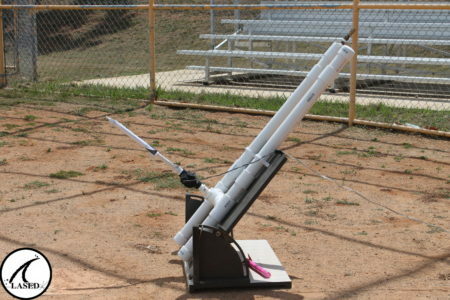 In the afternoon the boys moved to the UPRA baseball park to see the results of their work. The adventure continues! 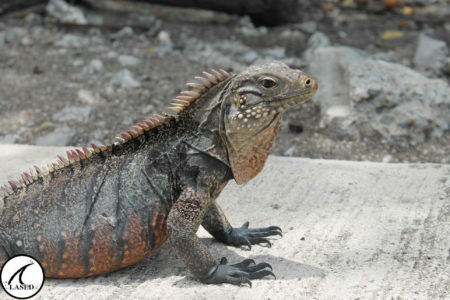 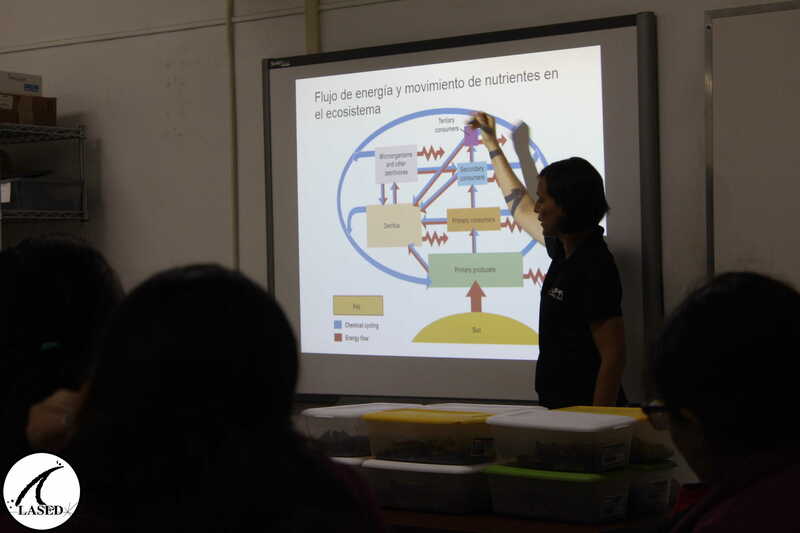 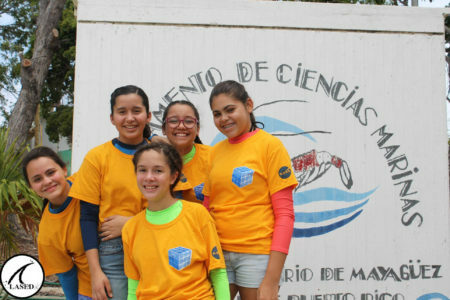 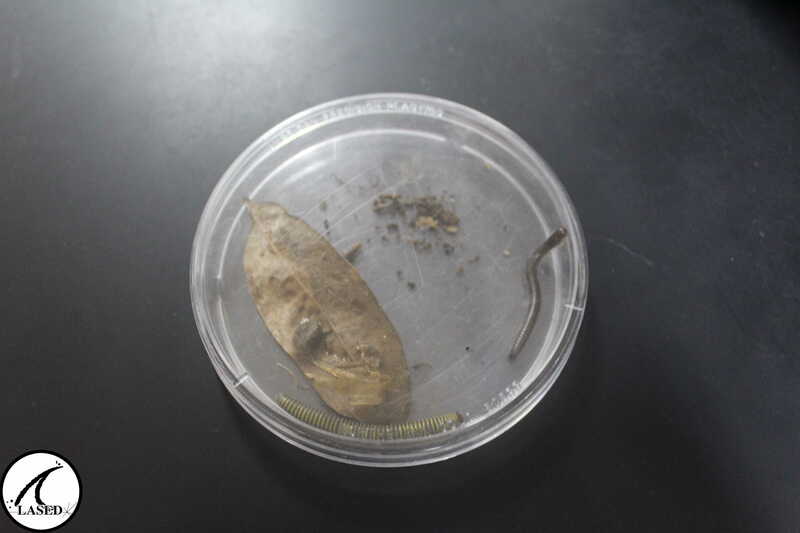 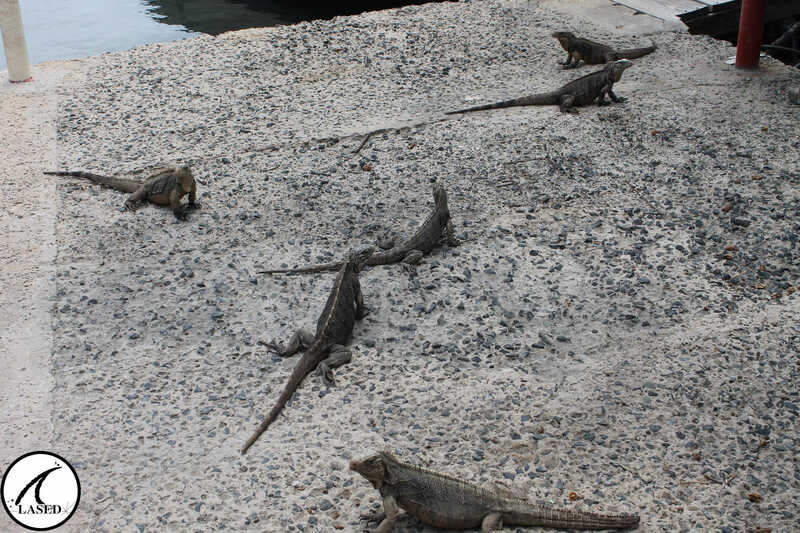 In the morning of today the children participated in an Ecology workshop, together with Dr. Sondra Vega. 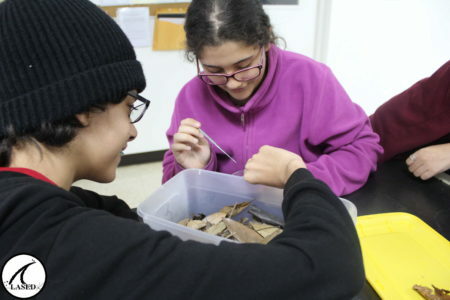 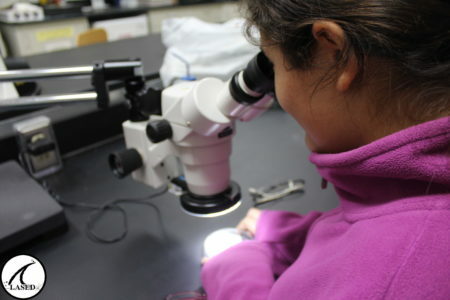 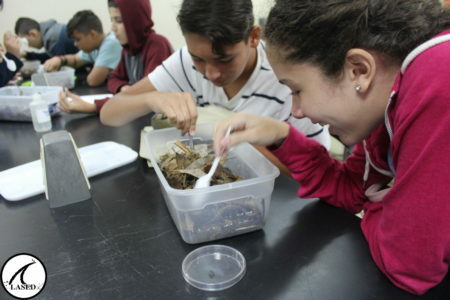 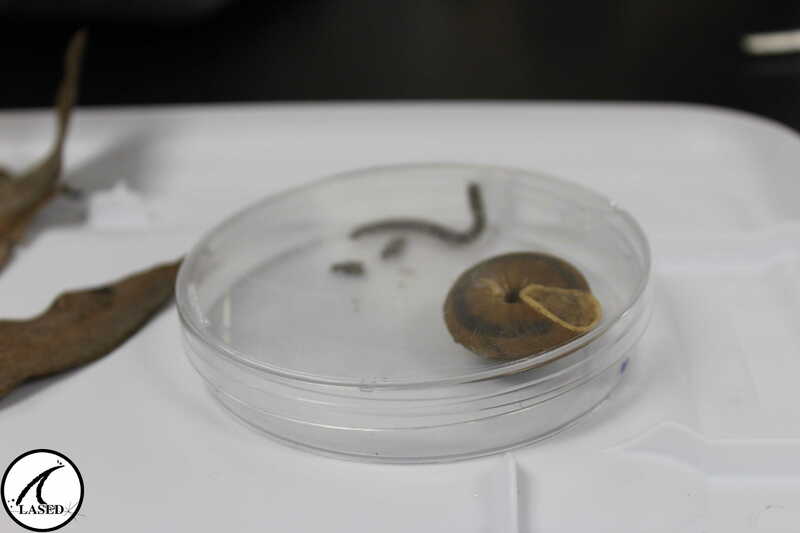 They had the opportunity to observe through a microscope several insects that the Dr. contributed to the project. 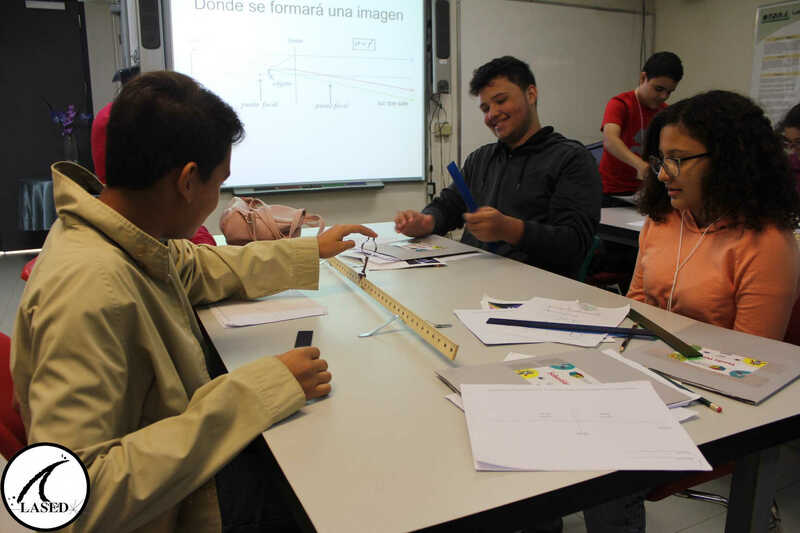 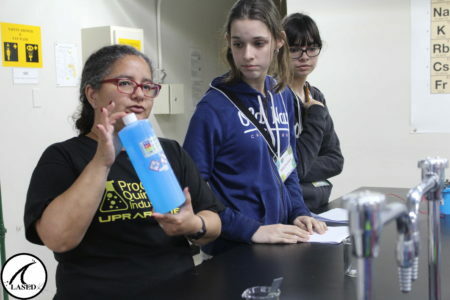 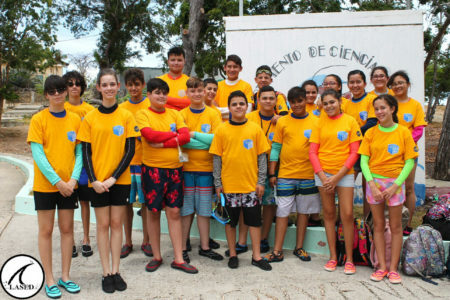 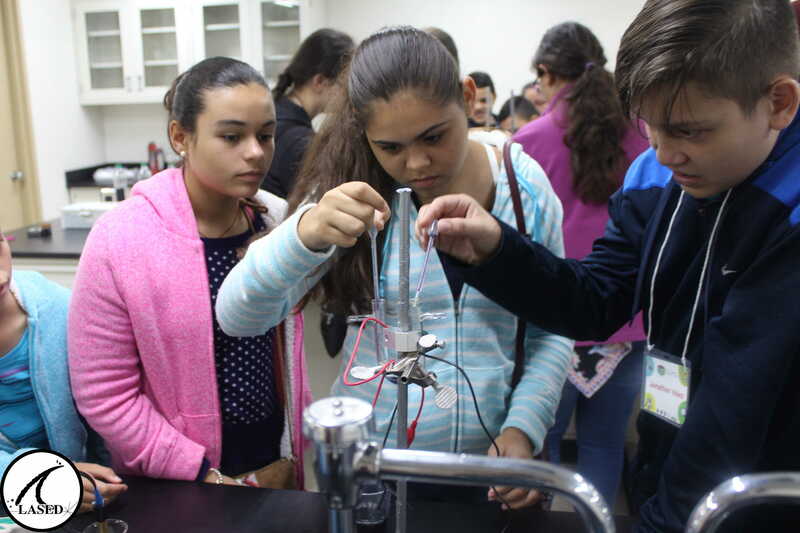 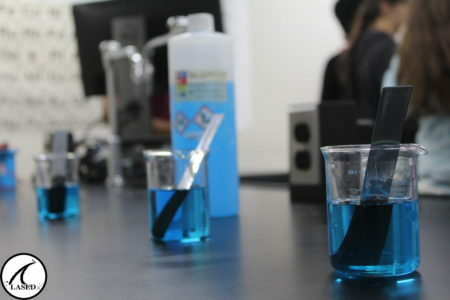 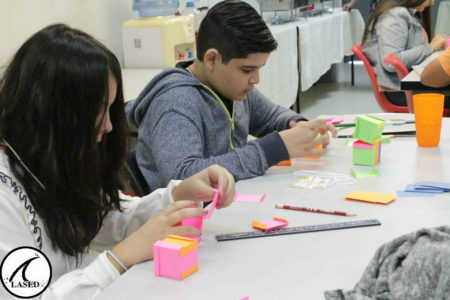 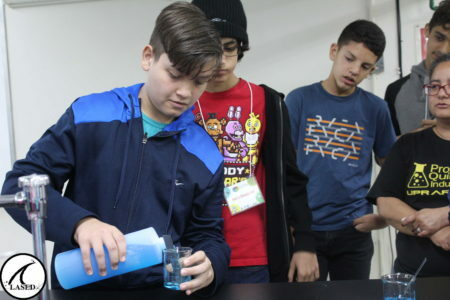 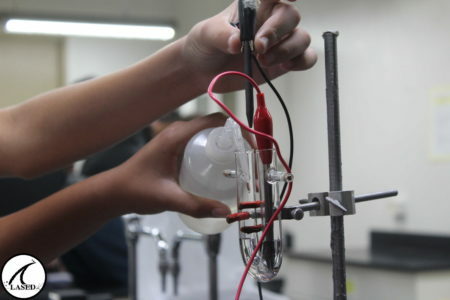 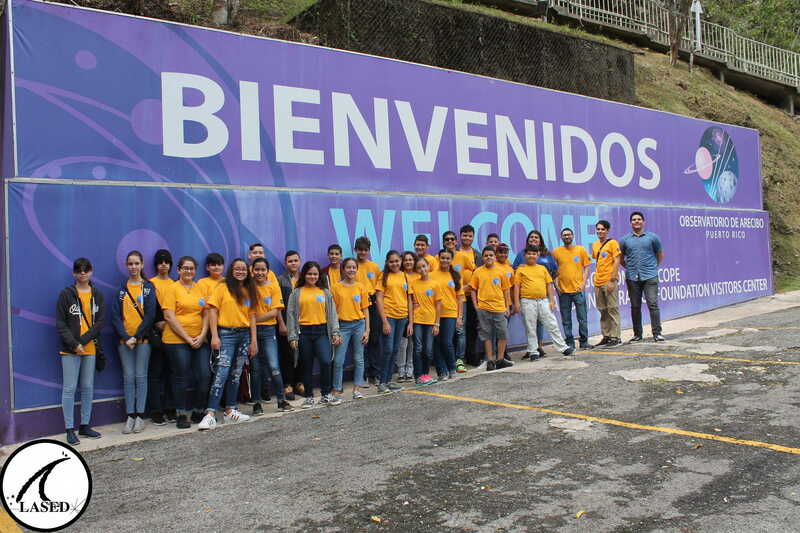 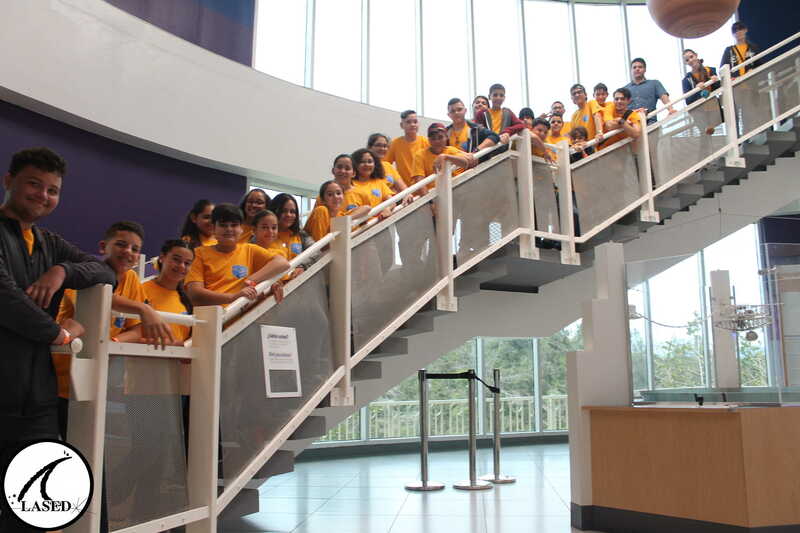 In the afternoon, the children went to a chemistry workshop with Prof. Vanessa Montalvo, and then they went to the UPRA chemistry laboratory to put what they learned into practice. 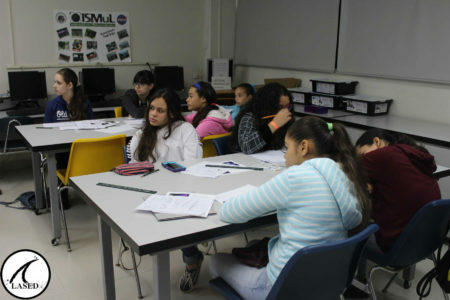 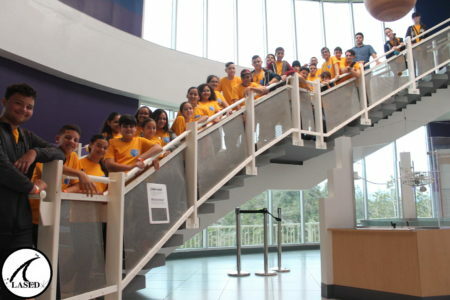 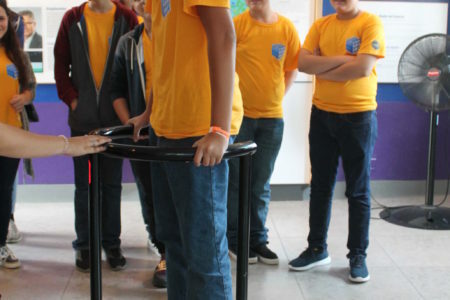 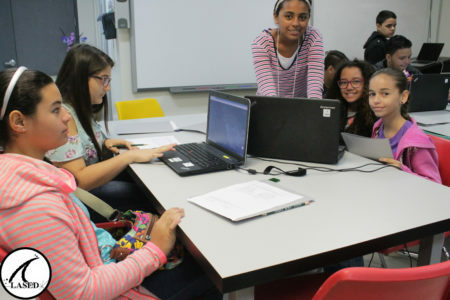 The last two workshops of the summer academy, LASED STEM, were held. 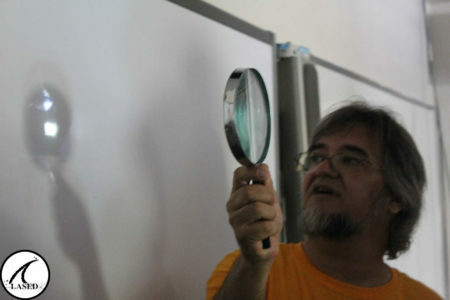 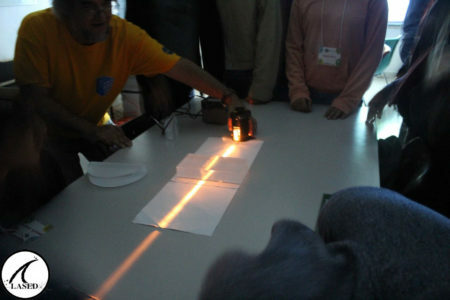 In the morning the children learned about Optics with Dr. Guillermo Nery. In the workshop, the Dr. contributed several materials that created a dynamic learning environment. 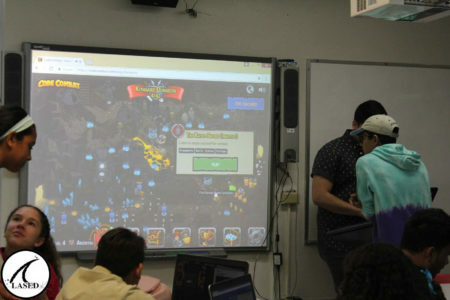 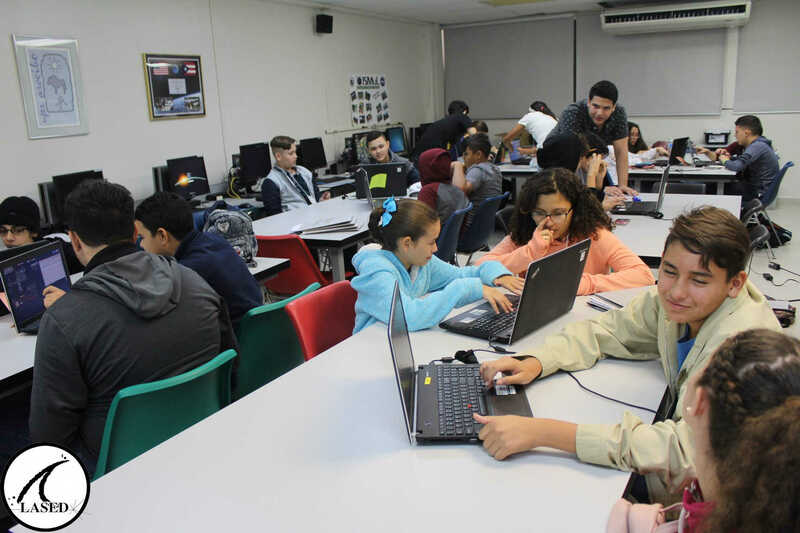 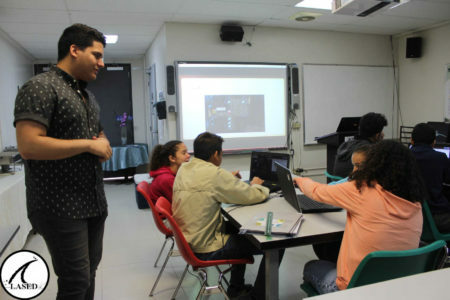 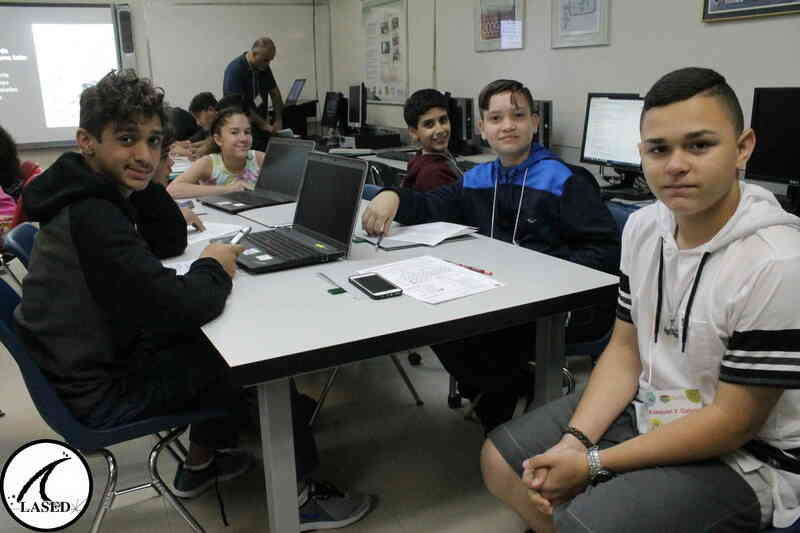 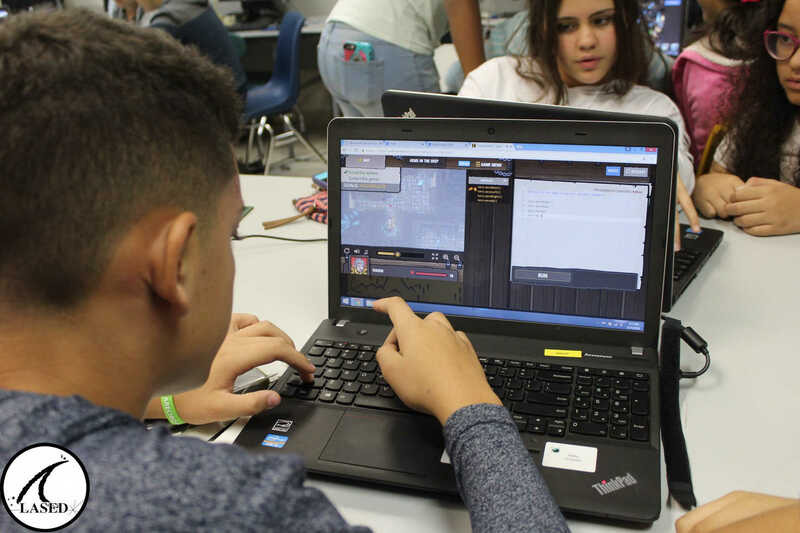 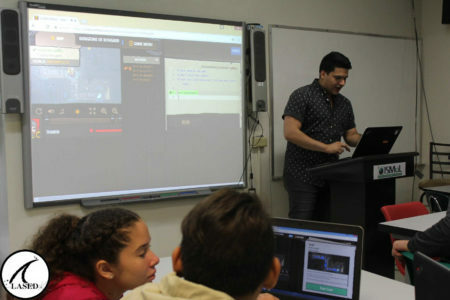 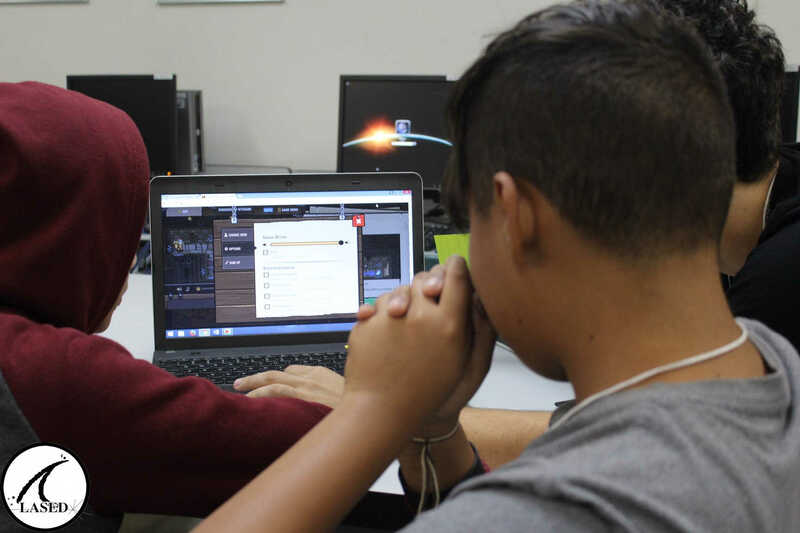 In the afternoon, Josean L. Ayala taught the Code Combat workshop and the children learned about the Python programming language.